And we the coloured shadows on the wall." "You are not bound to follow vulgar examples, nor to succeed - "Fais ce que dois." - AMIEL. "Study as if you would never reach the point you seek to attain, and hold on to all you have learnt as if you feared to lose it." - CONFUCIUS. DURING a visit at Lime, Arthur Stanley had spent a Whole evening in entertaining us with a most delightful description of the adventures of Messrs. Black, White, Blue, Green, and Yellow on their first arrival at Oxford, so that I was not wholly unprepared for what I had to encounter there. His kindness had also procured me a welcome from his most eccentric, but kind-hearted, friend Jowett, then a Fellow and tutor of Balliol,1 which prevented any forlornness I might otherwise have experienced; but indeed so great was my longing for change and a freer life, that I had no need of consolation, even under the terrors of "Matriculation." At nineteen, I was just beginning to feel something of the self-confidence which boys usually experience at thirteen, and, as I emancipated myself gradually from the oppressors of my boyhood, to yearn with eager longings for and sudden inexplicable sympathies towards the friendship and confidence of companions of my own age. There was also a pleasure in feeling that henceforward, though I should always have to economise, I must have some money of my own, although a regular allowance was never granted at Oxford, or at any other time. It was partially the fact that I had no money to spend in my own way, and that my bills were always overlooked and commented upon, and partly that I had known no other young men except those whom I met at my private tutor's, which made me still very peculiar in dress as in voice and manner. I can see myself now, very shy and shrinking, arriving at Oxford in a rough "bear greatcoat," with a broad stripe down my trousers, such as was worn then, and can hear the shrill high tones in which I spoke. "Balliol College, Oxford, March 14,1853. - I cannot help writing to my own mother on this my first night in Oxford. I should not seem to have got through the day without it. "I left Southgate with all good wishes and in pouring rain. When the domes and towers of Oxford rose over the levels, I was not much agitated at seeing them, and was very much disappointed at the look of them. A number of young men were at the station, but I jumped into an omnibus, and, in a tone as unlike a Freshman's as I could make it, exclaimed 'Balliol.' Dull streets brought us to an arched gateway, where I was set down, and asked the way to Mr. Jowett's rooms. Through one court with green grass and grey arches to another modern one, and upstairs to a door with 'Mr. Jowett' upon it. Having knocked some time in vain, I went in, and found two empty rooms, an uncomfortable external one evidently for lectures, and a pleasant inner sanctuary with books and prints and warm fire. My mother's letter was on the table, so she was the first person to welcome me to Oxford. Then Mr. Jowett came in, in cap and gown, with a pile of papers in his hand, and immediately hurried me out to visit a long succession of colleges and gardens, since which we have had dinner in his rooms and a pleasant evening. I like him thoroughly. It is a bright beginning of college life." "It was nervous work walking in the cold morning down the High Street to University. Mr. Jowett's last advice had been, 'Don't lose your presence of mind; it will be not only weak, but wrong.' Thus stimulated, 'I knocked at the Dean's (Mr. Hedley's) door. He took me to the Hall - a long hall, with long rows of men writing at a long table, at the end of which I was set down with pens, ink, and paper. Greek translation, Latin composition, and papers of arithmetic and Euclid were given me to do, and we were all locked in. I knew my work, and had done when we were let out, at half-past one, for twenty minutes. At the end of that time Mr. Hedley took me to the Master.2 The old man sate in his study - very cold, very stern, and very tall. I thought the examination was over. Not a bit of it. The Master asked what books I had ever done, and took down the names on paper. Then he chose Herodotus. I knew with that old man a mistake would be fatal, and I did not make it. Then he asked me a number of odd questions-all the principal rivers in France and Spain, the towns they pass through, and the points where they enter the sea; all the prophecies in the Old Testament in their order relating to the coming of Christ; all the relationships of Abraham and all the places he lived in. These things fortunately I happened to know. Then the Master arose and solemnly made a little speech  'You have not read so many books, Mr. Hare, not nearly so many books as are generally required, but in consideration of the satisfactory way in which you have passed your general examination, and in which you have answered my questions, you will be allowed to matriculate, and this, I hope, will lead you,' &c. &c. But for me the moral lesson at the end is lost in the essential, and the hitherto cold countenance of Mr. Medley now smiles pleasantly. "March 16. - It is a member of the University who writes to my own mother. "Then a great book is brought out, and I am instructed to write  'Augustus Joannes Cuthbertus Hare, Armigeri filius.' Then there is a pause. The Master and Dean consult how 'born at Rome' is to be written. The Dean suggests, the Master does not approve; the Dean suggests again, the Master is irritated; the Dean consults a great folio volume, and I am told to write 'de urbe Roma civitate Italiae.' When this is done, Mr. Medley stands up, the Master looks vacant, I bow, and we go out. "At five o'clock, having got a cap and gown at the tailor's, I return to Mr. Medley, now very affable, who walks with me to Worcester, to the Vice-Chancellor. The servant at the door says, 'A gentleman is matriculating.' Mr. Hedley says he is going to matriculate me. So we go in, and I write again in a great book and sign the Articles. I swear to abjure the Pope and be devoted to the Queen, and kiss a Testament upon it. Then the Vice-Chancellor says, 'Now attend diligently,' and makes a little speech in Latin about obedience to the institutes of the University. Then I pay �3, 10s. and am free." On my way back through London I went to my first evening party. It was at Lambeth Palace. Well do I remember my Aunt Kitty (Mrs. Stanley) looking me over before we set out, and then saying slowly, "Yes, you will do." At Lambeth I first heard on this occasion the beautiful singing of Mrs. Wilson, one of the three daughters of the Archbishop (Sumner). His other daughters, Miss Sumner and Mrs. Thomas and her children lived With him, and the household of united families dwelling harmoniously together was like that of Sir Thomas More. Another evening during this visit in London I made the acquaintance of the well-known Miss Marsh, and went with her to visit a refuge for reclaimed thieves in Westminster. As we were going over one of the rooms where they were at work, she began to speak to them, and warmed with her subject into a regular address, during which her bonnet fell off upon her shoulders, and, with her sparkling eyes and rippled hair, she looked quite inspired. It was on the same day - in the morning - that, under the auspices of Lea, who was a friend of the steward, I first saw Apsley House, where the sitting-room of the great Duke was then preserved just as he left it the year before, the pen lying by the dusty inkstand, and the litter of papers remaining as he had scattered them. When I reached Southgate, Mr. Bradley received me with "How do, Hare? Your troubles are ended. No, perhaps they are begun." That was all, yet he had really been anxious about me. I was always so brimming with exaggerated sentiment myself at this time, that I had expected quite a demonstration of farewell from the poor people in the wretched Southgate district, to whom - after a sentimental fashion - I had devoted much time and trouble, and was greatly disappointed to receive little more than "Oh! be you?" when I informed them that I was going to leave them for ever. The parting with Mr. Bradley was also more than chilling, as his manner was so repellent; yet in after life I look back to him as a man to whom, with all his eccentricities, I am most deeply indebted. During the greater part of the Easter vacation, my Uncle Penrhyn and his daughter Emmie were with us, still filled with the first sorrow caused by Aunt Penrhyn's death a few weeks before. To me personally the death of this aunt made little difference, though she had always been kind to me - she had so long been ill, never recovering the birth of her immense number of children, chiefly still-born, and worn out besides with asthma. My uncle used to obtain for her a reprieve of sleep by mesmerising her, but in this state, though immovable and taking rest, she could be talked to, understood all that was said, and recollected it afterwards. I remember on one occasion her describing her agony when, in a mesmeric state, she knew a wasp had settled on her nose, and yet was unable to move. It was partly distress for her sorrowing relations acting on one in whom the mind so acutely affected the body, which made my dear mother very ill this spring, with the usual trying symptoms of trembling, confusion, giddiness, and sleeplessness. On such occasions I sincerely believe I never had any thought but for her. Not only for hours, but for weeks I would sit constantly beside her, chafing her cold hands and feet, watching every symptom, ready to read if she could bear it, or to bring my thoughts and words into almost baby-language, if - as was sometimes the case - she could bear nothing else. But when she was ill, the dead silence at Lime or the uncongenial society from the Rectory was certainly more than usually depressing, and I was glad when, as at this Easter, her doctor sent her to Hastings. Here, in her rare better moments, I had great enjoyment in beginning to colour from nature on the rocks. On the day before I returned to Oxford, we received the Sacrament kneeling by the sick-bed of Priscilla Maurice,3 whose sick-room, which she then never left, was facing the sea in White Rock Place. At this time I had not only an enthusiasm for religion, which in itself was worth very little, but was just beginning to be filled with a steady anxiety to fulfil all the nobler aims of life; and to have a contempt for that life of much preaching and little practice in which I had latterly lived at Southgate, teaching others while I made no effort to improve myself In going to Oxford, from the set I lived in, the so-called moral temptations of Oxford life not only did not assail, but were invisible to me. I believe the very fact that I was always ready - far too ready - to speak my mind, made base men avoid me. My chief difficulty was to do any work; not to see my acquaintance at all hours of the day; not to shut up Sophocles in utter weariness of what I had so often read before, that I might go out to talk and laugh with those I liked. In fact, probably I should have done little or nothing at first, if the Schools, like the sword of Damocles, had not been hanging over my head - the Schools, which, as I wrote in my journal-book, had, for hundreds of years, probably seen more continuous trouble and misery than any other rooms in the world. On my way to Oxford, I paid a first visit to Hugh Pearson,4 afterwards my very dear friend, at Sonning Rectory near Reading, and also visited the old Maria Josepha, Lady Stanley of Alderley,5 at Holmwood. Old Lady Stanley was then, as always, most formidable; but her daughters Rianette and Louisa were not afraid of her, and in the one afternoon I was there they had a violent dispute and quarrel, with very high words, over which of their dogs barked loudest. University College, Oxford, April 9, 1853. - It is from my own rooms, 'No.2, Kitchen Staircase,' that I write to my mother - in a room long and narrow, with yellow beams across the ceiling, and a tall window at one end admitting dingy light, with a view of straight gravel-walks, and beds of cabbages and rhubarb in the Master's kitchen-garden. Here, for �32, 16s. 6d. I have been forced to become the owner of the last proprietor's furniture - curtains which drip with dirt, a bed with a ragged counterpane, a bleared mirror in a gilt frame, and some ugly mahogany chairs and tables. 'Your rooms might be worse, but your servant could not,' said Mr. Medley when lie brought me here. . . How shy I have just felt in Hall sitting through a dinner with a whole set of men I did not know and who never spoke to me." "March 10. - The chapel-clock is in my bedroom,, and woke me with its vibration every time it struck the hour However, I suppose I shall get used to it. But I was up long before the scout came to call me at seven, and was in such fear of being late for chapel, that I was ten minutes too early, and had to walk about in the cold and stare at the extraordinary stained windows-Jonah and the whale swimming about side by side; Abraham dragging Isaac to the sacrifice by his hair; Mary and Martha attending upon Christ, each with a brass ladle in her hand, only that Mary holds hers suspended, and Martha goes on dipping hers in the pot while He is talking. At last the Master entered statelily, and the troop of undergraduates in black gowns and scholars in white ones came clattering in; and Mr. Medley read the service, and we all responded, and a scholar read the lessons; and then there was a general rush into Quad, and a great shaking of hands, at which I, having no hand to shake, felt very blank, and escaped to my rooms, and afterwards to breakfast with Mr. Jowett. . . . I am to go to him every night with a hundred lines of Sophocles, some Latin composition, and a piece of Cicero by heart - a great addition to my eighteen lectures a week, but the greatest advantage; and really he could not have done a more true kindness: I do not know how to say enough of it. "I wish I knew some one in this college. It is most disagreeable being stared at wherever one goes, and having no one to speak to, and though the Hall, with its high roof and pictures, may seem picturesque at first, solitude in society becomes a bore! Expenses appear to be endless. This morning I held a lev�e. First a sooty man with a black face poked his head in at the door with 'Coalman's fee, if you please, sir, - half-a-crown.' The buttery, represented by a boy in a white apron, came up next, and then the college porter and scouts, though as yet all these officials have done for me-nothing! A man who declared himself sole agent of an important magazine, and also a vendor of 'flannels and dressing-robes,' has also just called  'supposed he had the honour of addressing Mr. Hare, and would I for a moment favour him with my approval,' which I declined to do, when he thanked me for 'my great condescension' and departed." "However, I have made plenty of acquaintances already, and I do not see much of either the temptations or difficulties of college life. In some ways a college repeats a public school. For instance, I have made rather friends with a Canadian called Hamilton, who all dinner-time has to answer, and does answer most good-naturedly, such questions as - 'Pray, are you going to Canada for the long? - When did you hear last from the Bishop of the Red River?' &c."
"April 23. - Having been induced, or rather compelled, to give a two-guinea subscription to the cricket club, I have just been asked to a great wine given to show that Coleridge the undergraduate is not the same as Coleridge the cricket collector. I have now to prepare Latin prose for the cynical Goldwin Smith, but my principal lectures are with Mr. Shadforth, a man who has the character of being universally beloved and having no authority at all. The undergraduates knock at his door and walk in. He sits at a table in the middle, they on cane-chairs all round the room, and his lecture is a desultory conversation-questions addressed to each individual in turn. But he dawdles and twaddles so much over details, we have generally done very little before the hour ends, when he says, 'I will not detain you any longer.' I doubt if there is much good in any of the lectures one attends, or anything to be learnt from them except what one teaches oneself; still they are part of the college routine, and so have to be pottered through. "There is a high Romanistic club here, called the Alfred, whose members spend their time in passing ridiculous votes of censure on different individuals. They are much tormented, but have a pleasant imagination of martyrdom and believe they are suffering for their faith. When they met at Merton, the men of the college put slates on the top of the chimney of the room where they were, and they were almost suffocated with smoke. Here they met to pass a vote of censure on St. Augustine, and the whole time of their sitting in conclave cayenne-pepper was burnt through the keyhole; and when it was over, every window in the Quad along which they passed was occupied by a man with a jug of water; so you may imagine they were well soused before they got out. "The Schools are going on now. They seem less alarming since I have heard that the man passed satisfactorily who construed - Julius Caesar, and also the man who, when asked why they broke the legs of the two thieves, said he supposed it was to prevent their running away. It was all put down to nervousness. Christ Church walks are now green with chestnut buds, and a pear-tree is putting out some blossoms in the Master's arid garden under my windows." Yesterday afternoon I rowed with Milligan on the river to Godstowe. It was so shallow, that if we had upset, which was exceedingly probable, we could have walked to shore." "May 4. - I have now become a regular visitor at the lodging-house of the Mendicity Society, which means taking my turn in going every evening for a week to receive the beggars who come with tickets, and reading prayers to them, besides giving them their supper; and noting any remarkable cases which need help. It is a strange congregation of wild haggard people, chiefly Irish; probably meeting for that one evening only on earth, and one feels anxious to do them some good. "I went the other day with Troutbeck7 - a friend of whom I see much - to Bagley Wood, where he sang old ballads under the trees upon a bank of bluebells and primroses. I have many friends now, and I never was happier in my life." "May 22. - I am in the Schools to-morrow for Little-go, having insisted on going in, in spite of my tutors. I do not feel as if I minded much, but some of my friends are so alarmed about themselves that they can scarcely eat." "May 23. - This morning the School-yard was full of men in white ties and Masters in hoods, friends catching friends for last words of advice, &c. Then the doors of the four Schools opened, and we poured in. The room where I was was full of little tables, and we each had one to ourselves. Then a Don walked about distributing the long printed papers to be filled up arithmetic, chiefly decimals. At first I felt as if I understood nothing, and I saw several of my neighbours wringing their hands in the same despair which overwhelmed myself but gradually ideas dawned upon me, and I wrote as fast as any one, and had only one question unanswered when we went out at twelve. In the afternoon was the Euclid school - very horrid, but I am certainly not plucked by to-day's work." "May 30. - You will rejoice to hear I am safe. Just as I was preparing to decamp this morning, to be out of the way of the authorities, I was caught by the Dean's messenger, and was obliged to go to him. He began by saying he could not allow me to go into the Schools, both my friends and the college would suffer; but I so entreated, and declared, and exclaimed that I must go in, that I would be careful, &c., that at last, as his breakfast was getting quite cold, he gave in. "I had translations of Sophocles and Virgil to do on paper, but it was not till the afternoon that 'Mr. Hare' was called for viva voce. I really did pretty well, and as one of the examiners considerately growled whenever I was turning down a wrong path, I was able to catch up my faults. Mr. Jowett was present amongst my friends, and as soon as all was over, carried me off to walk in New College Gardens; and when we came back, it was he who went in to ask my fate. He came back to me radiant with my testamur, and I am very happy in the restful feeling of its being over, and no other examination for so long. "I have just been electro-biologised in the most marvellous manner by the power of Troutbeck's left eye! by which he is able to mesmerise friends far away in their own rooms, and can make a fellow called Barrow8 clairvoyant, in which state he travels to Rugby, and other places where he has never been, and accurately describes all that is going on there." "June 6. - Commemoration has been most amusing - concerts, flower-shows, &c. The procession of boats was really a beautiful sight-all the college boats, with their different flags and uniforms, moving slowly up between the banks crowded with people, and saluting the University barge by raising their oars and holding them straight up in the air as they passed." All through my first year at Oxford, Mr. Jowett (afterwards Master of Balliol) continued to show me the utmost kindness, giving me extra work, and allowing me to bring the result to him in the evening. I had been so much neglected at Lyncombe, and so ill-grounded altogether in my boyhood, that my passing all my examinations successfully was probably owing to this generous action of his. Honours at Oxford, even in the History School, I never thought of. My mother would only have wondered what on earth I wanted them for, and, had I gained them, would have lamented them as terribly ensnaring. I was profoundly grateful to Mr. Jowett, but being constantly asked to breakfast alone with him was a terrible ordeal. Sometimes he never spoke at all, and would only walk round the room looking at me with unperceiving, absent eyes as I ate my bread and butter, in a way that, for a very nervous boy, was utterly terrific. Walking with this kind and silent friend was even worse: he scarcely ever spoke, and it in my shyness, I said something at one milestone, he would make no response at all till we reached the next, when he would say abruptly, "Your last observation was singularly commonplace," and relapse into silence again. He was indeed truly "intermittent," as Swinburne has called him. His quaint brevity of speech was never more remarkable than when the Council, met in solemn conclave, summoned "the little heretic," as he used to be called, into its awful presence. Then, being asked, "Now, Mr. Jowett, answer the truth; can you sign the Thirty-nine Articles?" he dumbfoundered them with  "If you've a little ink!" He could be very satirical. I remember, in after years, when Jex Blake, afterwards Dean of Wells, had been talking very prosily, he said, "I have long known that Law comes from Lex, but I never knew till now that Jaw comes from Jex." On looking back through the mists of years, I am often surprised at the acquaintance whose society I sought during my first terms at Oxford, few of whom, except my dear friends Willie Milligan and George Sheffleld,9 have had any share in my after life. This was partly owing to the fact that the men who were at University in my time for the most part belonged to so entirely different a station in life, that our after paths were not likely to cross; and partly to the fact that those who had any mental gifts - for most of my companions had none - were repulsive or disagreeable in their habits. Milligan was the first real friend I had ever had; before that, if I had liked any one, they had never liked me, and vice versa. It was always "l'un qui baisse, et l'autre qui tend la joue." Very odd and far less satisfactory were others of my early Oxford friendships. One was for a man who imposed upon those younger than himself by a sort of apathetic high-handed manner of his own, and whom, when he professed a great preference for me, I used to look up to as a sort of divinity. Many were the almost volumes of sentimental twaddle I wrote both to and about him, and I used to listen for his footstep on my staircase as the great event of the evening. But all this soon wore off and when my idol was once dethroned from its pedestal, it became a contemptible object. An odder friendship still, made in my early Oxford life, was that for a good-looking, sentimental, would-be poet. Of him I wrote home with heartfelt enthusiasm, and, at length, though I had never before asked anything at home, took courage to persuade my mother to let me go abroad with him to Bohemia for part of the long vacation. Before we set out he came to stay with us at Hurstmonceaux, and greatly astonished my relations must have been to find my charming young man so utterly unlike what I had described him. But we had scarcely set out on our travels before I found it out for myself, the first discovery being made when he pronounced Cologne Cathedral "very pretty" and S. Aposteln "very nice." "Andernach am Rhein, June 30, 1853. - I was delighted when we rounded the corner of the river below Rheinach, and the old tower of Andernach came in sight, with the cathedral, and the vineyard-clad hills behind. The whole place is delightful. In the evening we rambled up the rocks over carpets of thyme and stonecrop, and saw the last tinge of yellow pass away from the sky behind the cathedral and the light fade out of the river. All along the road are stone niches with sculptures of the 'Sept Douleurs,' and as we came in through the dark orchards a number of children were chaunting with lighted tapers before a gaudy image of a saint in a solitary place overshadowed by trees." "July 2. - This morning we went out at five, meeting crowds of peasants coming in to market with their cheerful 'Guten Tag.' I sate to draw at the Convent of St. Thomas in a rose-garden, while A. read Hallam. At twelve, we drove through the volcanic hills, covered with the loveliest flowers - blue larkspur, marigolds, asphodels, campanulas, and great tufts of crimson pinks - to the Laacher See, a deep blue lake, once the crater of a volcano, in a wooded basin of the hills. It still sends forth such noxious vapours that no bird can fly across it and live, and dead bodies of small animals are constantly found along its shores. At one end of the lake, Kloster Laach rises out of the woods, with a little inn nestling in an orchard close under the walls of the church. The exterior of that old Norman church is most beautiful, mellowed with every tint of age, but internally it is disfigured by whitewash; only the canopied tomb of the Phaltzgraf Henry II. is very curious. We were so delighted with the place, that we sent away the carriage and spent the evening by the lake, which was all alive with fireflies, darting in and out with their little burdens of light amongst the trees. In the morning we walked back to Andernach, which was quite possible, as I had no luggage but a comb and a pair of scissors." "Limbourg on Lahn, July 3.-What a tiresome diligence-drive we have had from Coblentz here through endless forests, but we were well repaid as we descended upon Limbourg. Our apathetic German fellow - travellers were roused to 'wundersch�n,' 'wunderliebliche,' and even A. gave one glance and faintly emitted the word 'pretty.' The view from the bridge is glorious. A precipitous rock rises out of the flats, with the Lahn rushing beneath, and all up one side the picturesque old black and white houses of the town, while growing out of the bare rock, its front almost on the precipice, like Durham, towers the magnificent cathedral, one of the oldest in Germany, abounding in all those depths and contrasts of colour which make the old German churches so picturesque - each window having its different moulding of blue, yellow, and red stone: and reflected in the clear water beneath. In the evening we walked to the neighbouring village of Dietz - a long rambling street of old houses, with the castle of Oranienstein overhanging them; and a wonderful ruined bridge, with the river dashing triumphantly through broken arches and over towers which have fallen into the stream." 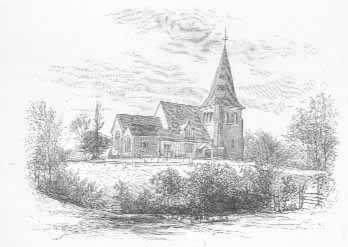 "The Church of St. Elizabeth is almost out of the town; a rambling street of old timber houses reaches down to it, but its golden-grey spires have nothing between them and the dark forest. Inside, the grove of red sandstone pillars is quite unspoilt by images or altars: one beautiful figure of St. Elizabeth stands in a niche against a pillar of the nave, and that is all. In the transept is the 'heilige Mausoleum.' Its red steps are worn away by the pilgrims: the tomb is covered with faded gold and vermilion; on its canopy are remains of fresco-painting, and within is a beautiful sleeping figure of Elizabeth. All around are grey monuments of the Landgraves, her predecessors, standing upright against the walls. The choir opens into the sacristy, where is the golden shrine of the saint. As we reached it, a pilgrim was just emerging, deeply solemnised by a t�te-�-t�te with her bones. In her daughter's tomb the face is quite worn away by the hands of the pilgrims. The tomb of Conrad, her confessor, is there also. The sacristan unlocked a great chest to show us Bible tapestry worked by the hands of the saint. Some of the old pictures in the church portrayed the flight from the Wartburg, and St. Elizabeth washing the feet of the lepers: all reminded me of the stories you used to read to me as a very little child out of the great book at the Rectory. "We went from the grave of St. Elizabeth to her palace - the great castle of Marbourg, seen far and wide over the country and overhanging the town, with a vast view over the blue-green billows of Thuringian pine-forest. The castle is divided into two parts, and you may imagine its size on hearing that 276 soldiers are now quartered in one of them. A guide, who knew nothing of either Luther or St. Elizabeth, except that they were both 'ganz heilige,' let us into the chapel where Luther preached, and the Ritter Saale, an old vaulted chamber where he met Zwingli and discussed Transubstantiation." "Erfurth, July 8. - It is a delightful walk to the Wartburg from Eisenach. A winding path through a fir-wood leads to an opening whence you look across a valley to a hill crowned with a worn gateway, something like one of the gates of Winchelsea. In the intervening hollow some stone steps lead to a dark gap in the wood, where is the fountain of St. Elizabeth under a grey archway with sculptured pillars and overgrown with ferns. The water here is excluded from the public as too holy for common use, but a little is let out for the people into a stone basin below. By the side is a stone seat, where it is said that Elizabeth used to wash herself. "The Wartburg is much like an English farmhouse. If Priest's Hawse11 was perched on the top of a mountain, it would resemble it. It has an irregular court, of which rugged rock is the pavement, surrounded With scattered buildings, some black and white, and some castellated. The latter, which have two rows of Norman arches and pillars and a kind of keep-tower at the end, were the palace of the Landgraves and Elizabeth. The whole was full of women and guides, geese, chickens, and dogs. We had some time to wait in a room, where we were refreshed with 'lemonade' made of raspberries, before we were shown over the castle - the most interesting points being the chapel with Luther's pulpit, and the room of his conflict with the devil, full of old pictures and furniture, but with nothing which can be relied upon as contemporary except his table and a stone which he used as a footstool. When he threw the inkstand at the devil, the ink made a tremendous splash upon the wall, but there is no trace of it now: the relic collectors have scraped the wall away down to the bare stones. "At the last moment at Eisenach I could not resist rushing out to sketch 'Conrad Cotta's House,' where you have so often described how Ursula Cotta first found the little Martin Luther singing hymns. "The heat here at Erfurth is so great that I have been in a state of perpetual dissolution. It is a dull town with a great cathedral, and another church raised high above the market-place and approached by long flights of steps. The Waisenhaus is an orphan institution occupying the Augustinian convent where Luther lived as a monk. All there is the same as in his time - the floors he used to sweep, the doors he had to open, and the courtyard filled with flowers and surrounded by wooden galleries. A passage lined with pictures from the Dance of Death leads to the cells. Luther's cell is a tiny chamber with a window full of octagonal glass, and wails covered with texts: two sides were written by himself. The furniture is the same, and even the inkstand from which I had to write my name, while the woman who showed me the place mentioned that the pens were not the same, for Luther's pens were worn out long ago! There is a portrait by Cranach and writing of the three friends, Luther, Bugenhagen, and Melancthon. "A. cannot speak a word of German, and never knows what to do on the simplest occasion, loses everything, is always late for the train, cannot pack his things up, will not learn the money, and has left every necessary of life at home and brought the most preposterous things with him." "Dresden, July 11. - We have seen a number of places on the way here. In the old cathedral of Naumbourg is a fine Cranach picture of St. Elizabeth, with the Wartbourg above her head and the Marbourg church at her feet. In the cathedral of Mersebourg is a most extraordinary picture of the Electoral family of Saxe-Mersebourg receiving the dead Christ and bearing him to the sepulchre. The family became extinct in 1738, and they all lie in the crypt under the church in the order in which they lived, in coffins covered with vermilion and gold, the little children in front and the grown people behind. Above, is the tomb of the Emperor Rudolph of Swabia, and in the sacristy they put into my hand a thing which I thought was a hand carved in oak, but found it was his own real hand, cut off in 1080! "Dresden announces itself by four black-looking domes and towers above the flat horizon and then by the many arches of the long Elbe bridge. It is very like a little - a very little - Paris; the same rows of tall white houses with green shutters: the same orange and lime trees filling the air with their sweetness: only the river is different, so gigantic and so bright. A broad flight of steps took us to the stately Bruhl terrace above the river-golden in the sunset. At the end an odd-looking building with a dome turned out to be a Jewish synagogue, and we went in. One old Jew in his hat dropped in after another, till at last one of them put on a white muslin shawl, and going up to a desk where the altar should be, began bobbing his head up and down and quacking like w duck. Then another in a corner, standing with his face close to the wall, quacked also at intervals, and then all the rest chimed in, till it was exactly like a farmyard. But no words can say how ridiculous it eventually became, when they all burst out into choruses which sounded like 'Cack a lack-lack-lack. Oh Jeremiah! Jeremiah! Oh Noah's ark, Noah's ark! Cack a lack-lack.lack, lack, lack: bo, bo, bo.' All the little black Wellington boots stamping on the floor together, and all the long white beards bobbing up and down, and giving an audible thump on the table at every bob. . . . And not the least absurd part was that they seemed to think our presence a compliment, at least they all bowed when we went out." "Schona on Elbe, July 16. - We left Dresden by the steamer - the last view of the town very striking, with the broad flood of the Elbe sweeping through a line of palaces. At Pirna we left the boat, and a long walk through hot fields brought us to the entrance of the Ottowalder Grund. A flight of steps leads into a chasm, with high rocks towering all round and the most brilliant and varied greens beneath. In one place the narrow path is crossed by a natural arch; then it winds up again through masses of forest and deep rocky glens, till it emerges on the top of the Bastei. "I was disappointed with the Bastei, which is like a scene on the Wye rather exaggerated. You look over a precipice of seven hundred feet, and see all around rocks equally high shooting straight up skywards in every conceivable and inconceivable form-pillars, pyramids, cones: and up all of them fir-trees cling and scramble, and bright tufts of bilberries hang where no human hand can ever gather their fruit. There are bridges between some of the rocks, and they support fragments of castles of the robbers who used to infest the Elbe, and, beyond the river, all the distant hills rise in columnar masses of equal irregularity. After dining at the little inn, we walked on to Konigstein, a fortress which has never been taken, large enough to hold the whole population of Dresden. Here a tremendous thunderstorm rolled with grand effect around the mountain. There is a terrible parapet overhanging the precipice, where a page fell asleep, and was awakened by one of the Electors firing a pistol close to his ear to break him of the habit. A long path through bilberry thickets brought us to the station, and we took the train to Schandau, where we slept - very glad to go to bed at ten, having been on foot since 4 A.M.
"Forest again, ever deeper and darker - and no human life but a few women gathering faggots with bare arms and legs, till we reached the Jagd-Haus on the promontory of the Lesser Winterberg, where Schiller's name is cut, with others, in the mossy stone. Forest and bilberries again to the hotel on the Greater Winterberg, where we dined on mountain florellen and strawberries and cranberries. Forest, ever the same, to the Prebischthor, a natural arch projecting over an abyss, splendid in light and shadow, and altogether the finest scene in the Saxon Switzerland. . . then a descent to Schona. We found it easy to accomplish in a day and a half that for which Murray allots four days." "Prague, July 17. - All through the night we travelled in a railway carriage with twenty-two windows and eighty inmates. Dawn broke on a flat country near the Moldau. At last a line of white wall crowned a distant hill. Then, while an Austrian official was collecting passports, railway and river alike made a turn, and a chain of towers, domes, and minarets appeared above the waving cornfields, one larger than the others - the citadel of Prague! "What a poem the town is! - the old square of the Grosse Ring, where the beautiful delicately-sculptured Rathhaus and church look down upon a red marble fountain, ever surrounded by women with pitchers, in tall white caps: the streets of Bohemian palaces, with gigantic stone figures guarding the doors: the bridge, with statues of saints bending inwards from every pier, and the huge Hradschin palace on the hill beyond,' with the cathedral in its midst: the gloomy precipice from which the Amazonian Queen Libessa hurled down her lovers one by one as she got tired of them:- the glorious view from the terrace of the Hradschin, recalling pictures of the view from the Pincio at Rome: the wonderful tombs of the Bohemian kings, and the silver chandeliers and red lights before the shrine of St. John Nepomuck in the cathedral." "July 18. - On Sunday afternoon we were at the Jewish synagogue, the oldest building here-older than Prague itself and now only used on the Day of Atonement and other great occasions. It is quite in the midst of the Jews' quarter, which is entirely given up to them, and inside it is black with age, its gothic pillars looming out of a coating of soot and smoke, never allowed to be cleared away. The centre was spread with draperies of cloth of gold and silver. On the platform within them was the chief Rabbi, a venerable man with a white beard which swept over his brown robe as far as his waist. 'He is wonderfully learned,' whispered my neighbour to me. 'He understands every language in the whole world, and as for English he speaks it as well as an Englishman.' At last there was a bustle in the crowd, and a young woman made her way through, enveloped in a very curious ancient hood of worked gold, and several very smart ladies crowded up after her: we followed. Then the priest shouted in Hebrew so that the little building rang again, and the Rabbi took a little silver cup of oil and-I think-anointed the lady, and a service followed in which all the people responded electrically as if a bell were struck; but it was not till we came out that I found the lady in the golden hood bad been - married. "One of a knot of palaces in the Klein site was Wallenstein's. Here, one room is hung with artificial stalactites: in another are portraits of Wallenstein and his second wife, and the charger which was shot under him at Ltitzen, stuffed - but only the body remains of the original horse, the head and legs have been eaten up by moths and renewed! The garden is charming, with an aviary of peacocks. "A. has been twice threatened with arrest for persisting in wearing a wide-awake in the streets, for at present it is a revolutionary emblem! At first he insisted on putting it on again, but the second attack has been too much for his fortitude. Just now I was roused by his shrieks, and reached his room just in time to see a large black sheep emerge from under his bed! - it had walked in from the market by the open galleries and had taken refuge there." "Bamberg, July 23. - We came here by Dresden and Saxe-Altenberg, with its charming old castle. Near Hof the engine burst, doing us no harm, but keeping us for hours sitting on the grassy railway bank till another engine arrived, so that we did not get here till 3 A.M. The cathedral is glorious. Only imagine my having found Baron and Baroness von Usedom in the hotel, and the next morning Lady Malcolm and her two daughters arrived-most kind, most amusing - and Madame von Usedom most extraordinary. She received me with 'You're wonderfully like your sister, and she is very beautiful,' so that's a compliment! "July 28. - We have had another vision of loveliness at Nuremberg. One became quite weary of saying, 'Oh! how beautiful! how beautiful !' But no letter can give an idea of what Nuremberg is - 'The German Venice' Madame d'Usedom called it. And Albert Durer is a part of the place: whenever I see his wood-cuts again at the Rectory, they will bring back the town to me - where his house is, and his pictures, his statue, and most of all his grave, in a cemetery full of hollyhocks and lilies." We came home by Augsburg, Ulm, and Heidelberg, and then through France vza Chalons and Rheims. In thinking of present expenses (1895), I often marvel at the cheapness of the long tour we had made. We had seen the greater part of Germany and much of France, had travelled for six weeks, and travelled in comfort, and, including journeys to and from the coast of England, we could each. have spent only �25, for we had no more to spend. I joined my mother at Ashburton Vicarage, near Dartmoor, whence we saw "Wistman's Wood "-that wonderful stunted grove of immemorial oak-trees in the midst of the moors. On our way home we went to stay with Miss Boyle12 at Portishead. It was my mother's first sight of her, and she was much struck by that extraordinary person, for whom at that time I had an almost passionate devotion, and who had unfortunately just become notorious through her appearance - being subpoenaed on the wrong side - at the trial of the false Sir Hugh Smith, the claimant of Ashton Court. This trial created a tremendous excitement at the time, and the decision was nearly given in favour of the claimant. His wife, a daughter of De Wint the artist, had already ordered the carriage in which she was to make a triumphal entry, when the cause suddenly collapsed through the evidence of a jeweller who had been employed to forge a brooch upon which much of importance depended. The Bishop of St. David's, Thirlwall, was staying at the Rectory when I was at home. Excellent as he was, I was horribly afraid of him, for a more repellent, freezing manner than his I never saw. I hated the Rectory now more than ever, but was more than ever devoted to Lime. What a vision I have now of its quietude in those hot summer days, only the wind whispering in the old abele-trees and rippling the waves upon the pool, and of the fresh morning smell of the pinks and roses and syringa, bowed down by the heavy dew. Our intensely quiet life would have suited few young men, but when my dear mother was well, and the Rectory not too aggressive, I was always happy. Each day was a routine. Called by our fat John at seven, when Fausty's black nose was poked in my face, I woke to see the sun shining on the little pictures on the wall and the old-fashioned china ornaments, and to hear Joe Comford whetting his scythe on the lawn under the windows. I was downstairs before my mother appeared in her lilac dress to breakfast and prayers. Then we walked on the terrace. I read - first aloud to her, then to myself - then went with her round the field and to the girls' school. At one was dinner; at half-past two we drove out - Fausty with us. Then my mother lay on the sofa and I read: then came our tea-supper, and I read aloud again, and mother sang such old songs as "Hohenlinden," "Lord Ullin's Daughter," "Auld Robin Gray," or the Russian "Pojalite." Then, after prayers, I helped her upstairs, and, at her little round table, she would say a little short prayer with or for me out of her own heart, and I came down to write till the melancholy sound of the mice in the wainscot drove me to bed also. On my return to Oxford in October, I published in "The Penny Post" my first story-" The Good Landgravine," about Elizabeth of Thuringia  quite as important to me then as the publication of one of my large books is now-and I obtained ten shillings for it with great pride! I had much pleasure in a visit from Arthur Stanley this term, and Mr. Jowett  "the great Balliol tutor" - continued his kindness and his voluntary lessons to me, though I must often sorely have tried his patience. I was, no doubt, a terrible little prig, and I have just found, amongst old letters, a very kind one from him, written in the vacation, urging me to make an effort to conquer "my conceit, which was not vanity, but a constant restlessness about myself. "13 Jowett was - tiresome perhaps, in some ways, but - one of the most unselfish persons I have ever known. By his own life, as in. his sermons, he constantly inculcated disinterestedness, sympathy, and the love of God. The Christian doctrines of the Incarnation, Resurrection, &c., he utterly ignored, out of the pulpit as in it, and I believe Arthur Stanley quite agreed with him in his heart, though he had not quite "the courage of his opinions." "Reading men" used to congratulate me upon my intimacy with Jowett, little knowing of how admonitory a nature were all his conversations with me. Amongst the freshmen of the term were two with whom I became great friends afterwards. One was Frederick Forsyth Grant,14 whom we always called "Kyrie," because when he went to spend the long vacation at Athens (of all places in the world), he was called from his generosity "Kyrie Dora" - the lord of gifts. The other was a peculiarly boyish-looking fellow, with a remarkably lithe, graceful figure, and a little Skye-terrier to which he was devoted. I remember the shy longing I had to make friends with him, and my first visit after dinner - finding him drinking coffee with his little dog by his side: it was George Sheffield, my constant friend afterwards for very many years. University College, Nov. 18, 1853 - This morning I was asked to breakfast with the Master, whose courteous placidity is such that he looks as if turmoil, contradiction, and reform could never approach him. He received us kindly but very solemnly, with an old Miss Plumptre in a rich satin gown by his side. The winter of 1853 was a very sad one. I found my dearest mother very feeble and tottering, and it was a constant grief to me to see the patient, worn look of illness in her forehead as she leant back in her chair. She would occupy herself; however, as usual in cutting out clothes for the poor, saying that her own sufferings from the cold forbade her not trying to prevent theirs. I scarcely. ever ventured to leave her for a moment as long as we stayed at home, always inventing an excuse to walk behind her whenever she went upstairs, for fear she should suddenly fall. On the 20th of December, the Stanleys being absent at Canterbury, we went up to their empty house in Grosvenor Crescent. Here the winter was much preferable to that at Lime, and on the whole my mother suffered less; but my life was that of a constant sick-nurse, scarcely ever away from hen When I was, I generally went in the dusk to the National Gallery-too late to see the pictures, but I liked to wander about in the almost empty rooms, and to feel that they were there, and knowing no one in London myself, to make imaginary histories about the one or two figures which still lingered, finding the same odd refuge as myself from the turmoil of the town. In reading my journal of this winter, I can recall the days of intense anguish I went through, seeing before me, as I thought, the realisation of Dr. Chapman's verdict that softening of the brain had definitely set in for my dearest mother. As the year closed in gloom, I looked forward with terror to what the next would bring, to the probability of not having another year to surround her with my love, to ward off every sorrow. 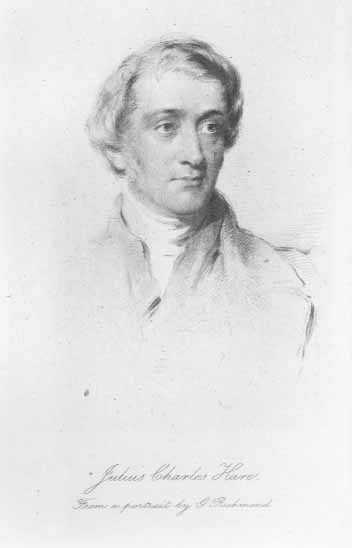 Whilst conscious that my character had certainly expanded under the happier life I had been leading at Oxford, and that the interests of my friends there had become as near my heart as my own, I realised that all I could be and do for my own mother was no mere duty, it was the outpouring of my whole soul; for I did not entertain an angel unawares. At the New Year my mother's attacks increased; often she was unable to see and became almost unconscious. Yet by the 21st of January she had rallied so much that I was able to return in tolerable comfort to Oxford. University College, Jan. 22, 1854. - My dearest mother will often have thought of her child in his college home: and how often have I thought of my own mother, and longed to be by her to watch and take care of her still. I feel the blank on the staircase, now my hand has nothing to do in helping you. It is a comfort that you have plenty of nurses to take care of you; but the great comfort of all is that you now no longer want me. "I have new rooms now in the 'New Buildings.' They are not very large, but the sitting-room has the charm of a beautiful oriel window overhanging the High Street, with a cushioned seat all round and a small writing-table in the middle: and the view is delightful." I think it was during the Easter vacation of this year that a day of national humiliation was appointed on the outbreak of the Crimean War. Severely indeed was the fast-day observed at Hurstmonceaux. At Lime we had nothing to eat but bread, and for dinner some boiled sea-kale, a vegetable which I have ever since associated with that time; and I have a vivid remembrance of the seno-comic face of our butler, John Gidman, when we were ushered into the dining-room, with the table laid out as usual, and, when the covers were taken off; only that amount of food was displayed. In theory Aunt Esther was always urging the duty not only of a saintly, but of an ascetic life, and it was not her fault that the only cell where she could herself carry out in practice her austere views was an orange-scented library lined with rare folios or precious works of art. This, the second year of my Oxford life, was very enjoyable. Not intending to read for honours, for which I had no ambition (as my mother, unlike many parents, would have had no pleasure whatever in my obtaining them, but, on the contrary, would have regarded them as a most undesirable "snare"), I had plenty of time for other things, and pursued those studies of French, Italian, History, and Archeology which have been far more really useful to me than any amount of Latin and Greek. My devotion to George Sheffield showed itself amongst other ways, in writing a story every week, which was presented to him on Sunday. Many of these stories, though I forget them, must, I now believe, have been rather interesting. Lady Sheffield used to keep them, and, as they all referred to things and people long past, George and I used to make schemes of publishing them some day in a black cover adorned with a white skull and cross-bones, under the title of "Dead Dust," - an idea which, I am thankful to say, was never carried out. With Troutbeck and Duckworth I used to attend and make copious notes of the lectures of Professor Philips on Geology, which sometimes assumed a peripatetic form. "Oxford; June 9, 1854. - At half-past ten yesterday, Troutbeck, Duckworth, Bowden, and I, met the Professor and twenty-eight fellow geologists at the station. The Professor was dressed in a queer old brown suit, and we were all armed with hammers, and baskets to carry provisions and bring back fossils. We took the train to Handbro' on the outskirts of Blenheim Park and no sooner arrived there than the Professor, followed by his whole lecture, rushed up the railway bank, where he delivered a thrilling discourse on terrebratul�, which are found in that place, and for which we all grubbed successfully immediately afterwards. And in that extraordinary manner we perambulated the country all day - getting on a few yards, and then stopping to hear a lecture on some stone the Professor had spied in the hedge, or which one of the party had picked up in the road. Greatly did we astonish the villages we passed through. 'What be's you all come professionising about, zur?' said one old man to me. We had luncheon in the remains of a Roman villa with mosaics. "In the evening we went to the Professor's 'Soiree.' Here I found it much more amusing to listen to his sister's discourse about 'poor dear Buckland - my friends Whewell and Sedgwick - my dear friend Faraday - my very celebrated uncle, and my also celebrated brother,' than to attend to the Professor himself who was exhibiting photographs of the scenery and geology of the moon." Amongst the remarkable persons whom I frequently saw in my earlier Oxford life was the venerable Dr. (Martin Joseph) Routh, President of Magdalen, born 1755, who died in 1854, in his hundredth year. He would describe his mother as having known a lady who had met Charles II. walking round the parks at Oxford with his dogs. He had himself seen Dr Johnson "scrambling up the steps of University." In him I myself saw a man of the type of Dr Johnson, and of much the same dress, and even ponderous manner of speaking. I remember Goldwin Smith once asking him how he did, and his replying, "I am suffering, sir, from a catarrhal cold, which, however, sir, I take to be a kind provision of Nature to relieve the peccant humours of the system. His recollections of old Oxford extended naturally over the most immense period. Sir George Dasent has told me that the President once asked him, ''Did you ever hear, sir, of Gowns-man's Gallows?" - "No, Mr. President." - "What, sir, do you tell me, sir, that you never heard of Gownsman's Gallows? Why, I tell you, sir, that I have seen two undergraduates hanged on Gownsman's Gallows in Holywell, hanged, sir, for highway robbery." A few years before the President's death, when he was at Ewelme, his living in the country, his butler became insane and had to be sent away. When he was leaving,-he begged to see the President once more, "to ask his blessing," as he said. The President received him in the garden, where the man, stooping as if to kiss his hand, bit it - bit a piece out of it. "How did you feel, Mr. President," said Sir G. Dasent afterwards, "when the man bit your hand?"  "Why, at first, sir," said the President, "I felt considerably alarmed; for I was unaware, sir, what proportion of human virus might have been communicated by the bite; but in the interval of reaching the house, I was convinced that the proportion of virus must have been very small indeed: then I was at rest, but, sir, I had the bite cauterised." It was often observed of Dr. Routh that he never appeared on any occasion without his canonicals, which he wore constantly. Some ill-disposed undergraduates formed a plan which should force him to break this habit, and going under his window at midnight, they shouted "Fire." The President appeared immediately and in the most terrible state of alarm, but in full canonicals. It was only forty-eight hours before Dr. Routh died that his powers began to fail. He ordered his servants to prepare rooms for a Mr. and Mrs. Cholmondeley, who had been long since dead, and then they felt sure the end was come. They tried to get him upstairs to bed, but he struggled with the banisters as with an imaginary enemy. He then spoke of pedigrees, and remarked that a Mr. Edwards was descended from two royal families: he just murmured something about the American war, and then he expired. He left his widow very ill provided for, but the college gave her a handsome income. On reaching home in the summer of 1854, all the anxieties of the previous winter about my mother's health were renewed. She was utterly incapable of either any physical or any mental effort, and my every minute was occupied in an agony of watchfulness over her. I felt then, as so often since, that the only chance of her restoration was from the elasticity of foreign air, and then, as so often since, was my misery and anxiety increased by the cruel taunts of my aunts, who protested that I was only trying to drag her away from home, at a sacrifice to her comfort, from a most selfish desire for my own amusement. However, when a short stay at Southborough and Eastbourne seemed rather to increase than cure the malady, the absolute decision of her doctor caused the talked-of journey to be accomplished, and we set out for Switzerland, accompanied by Charlotte Leycester, my mother, as usual, being quite delighted to go abroad, and saying, "I have no doubt as soon as I reach Boulogne I shall be quite well," - a result which was very nearly obtained. We lingered first at Fontainebleau, with its pompous but then desolate ch�teau, and gardens brilliant with blue lark-spurs and white feverfew - the commonest plants producing an effect I have seldom seen elsewhere. A pet trout, certainly of enormous age, and having its scales covered with a kind of fungus, was alive then, and came up for biscuit: it was said to have belonged to Marie Antoinette. At Chalons we took the steamer down the Seine, and a picture that dwells with me through life is that of the glorious effect, as we entered Lyons, of the sun suddenly bursting through the dark thunderclouds and lighting up every projection of roof and window in the tall houses which lined the quay and the bright figures beneath. I have often been at Lyons since, but have never cared for it as I did then, when we stayed long enough to enjoy S. Martin d'Ainay, and the picturesque ascent to the Fouvi�res and noble view from its terrace, and to marvel at the vast collection of votive offerings, memorials of those who prayed to the Virgin in danger and were protected by her, while we wondered where the memorials of those were who invoked her and whose prayers were not answered. My mother went straight from Lyons to Aix-les-Bains by voiturier; but I lingered to see the beauties of Vienna, and followed by steamer up the Rhone and Lac de Bourget with my Southgate friend Walter Portman.18 We found Aix terribly hot, and generally spent the evenings by or on the lake, where one day my mother, Lea, and I were in some danger, being caught in a tremendous burrasco. Thence a most wearisome journey voiturier took us from Aix to Geneva, a place for which I conceived the most intense aversion, from its hot baking situation, and the illiberal and presumptuous "religion" of its inhabitants. While there, in a hotel facing the lake, I was called up in the middle of the night to Lea, who was very alarmingly ill, and while attending to and trying to calm her, was roused by shrieks of "Fire"in the street, and saw the opposite house burst into flame. Alarm-bells rang, engines were summoned, crowds arrived, and only a change in the wind saved us from destruction or flight. We moved afterwards to the H�tel des Etrangers, a house in a damp garden near the lake. Here we were seated almost alone at the little table d'h�te when we heard the most extraordinary hissing and rushing sound, like a clock being wound up, and a very little lady entered, who seemed to be impelled into the room, followed by her husband. On reaching her chair, several loud clicks resulted in her being lifted into it as by invisible power! It was Mrs. Archer Clive, the then celebrated authoress of "Paul Ferroll," who had no legs, and moved by clock-work. While at Geneva, I saw many of its peculiar celebrities, especially M. Gaussen and M. Merle d'Aubign�, the historian of the Reformation, whose real name was only Merle, the sequence having been adopted from his former residence. He had a very striking appearance, his hair being quite grey, but his shaggy eyebrows deep black, with a fine forehead and expression. Another person we saw was M. Berthollet, with an enormous head. It was with difficulty that any of these persons could be convinced that our sole object in coming to Geneva was not to see a certain pasteur, of whom we had never even heard. We visited Ferney, which thrives upon the unpleasant memory of Voltaire, who had a villa there, in which we saw the tomb of his heart! The inn has a its sign a portrait of him in his French wig. We spent a pleasant afternoon at Colonel Tronchin's lovely villa. He was a most excellent man, and one could not help seeing how nobly and unostentatiously he employed his large fortune for the good of others. Yet one could not help seeing also how many of his followers put up their religious scruples like an umbrella to ward off whatever was not quite to their liking - how "No, I could not think of it; it would be against my conscience," became at Geneva, as elsewhere, very liable to be said in pure selfishness. My mother's sufferings from the heat led to our going from Geneva to Chamounix. On the way we slept at St. Martin. As I was drawing there upon the bridge, a little girl came to beg, but beggars were so common that I paid no attention to her entreaties, till her queer expression attracted me, and a boy who came up at the same time described her as an "abandonn�e," for her father was in prison, her sister dead, and her mother had deserted her and gone off to Paris. The child, who had scarcely an apology for being clothed, verified this in a touching and at the same time an elf-like way - grinning and bemoaning her sorrows in the same breath. Charlotte Leycester gave her four sous, with which she was so enchanted that she rushed away, throwing her hands into the air and making every demonstration of delight, and we thought we should see no more of her. However, in going home, we found her under a wall on the other side of the bridge, where she showed us with rapture the bread she had been able to buy with the money which had been given her. An old woman standing by told us about her - how wonderfully little the child lived on, sleeping from door to door, and how extraordinary her spirits still were. It was so odd a case, and there was something so interesting in the child, that we determined to follow her, and see where she really would go to sleep. To our surprise, instead of guiding us through the village, she took her way straight up the woods on the mountain-side, by a path which she assured us was frequented by wolves. It was very dark, and the place she led us to was most desolate - some ch�lets standing by themselves in the woods, almost at the foot of the mountain; the glass gone from the windows, which were filled up with straw and bits of wood. Meantime we had made out from the child that her name was Toinette, daughter of Fran�ois Bernard, and that she once lived in the neighbouring village of Passy, where her home had been burnt to the ground, a scene which she described with marvellous gesticulations. She seemed to have conceived the greatest affection for Charlotte. When asked if she knew that it was wrong to lie and steal, she said, "Rather than steal, I would have my head cut off like the people in the prisons. I pray every day, and my prayer shall be always for you, Madame." A great dog flew out of the cottage at us, but Toinette drove it away, and called out a woman who was standing in the doorway. The woman said she knew nothing of Toinette, but that she had implored to sleep there about three weeks before, and that she had slept there ever since; and then the child, caressing her and stroking her cheeks, begged to be allowed to do the same again. The woman offered to go with us to another house, where the people knew the child better. On arriving, we heard the inmates at prayers, inside, singing a simple litany in responses. Afterwards they came out to speak to us. They said it was but for a very small matter Fran�ois Bernard was imprisoned, as he had only stolen some bread when he was starving, but that, if he came back, he could do nothing for Toinette, and as her uncles were idiots, there was nobody to take care of her: if we wished to do anything for her, we had better speak to the Syndic, who lived higher up the mountain; so thither we proceeded, with Toinette and all her female friends in our train. It was a strange walk, by starlight through the woods, and a queer companionship of rough kind-hearted people. Toinette, only seven years old, laughed and skipped over the stones, holding Charlotte's gown, and declaring she would never leave her We had expected to find the magistrate living in a better house than the others, but it was like its neighbours - a little brown ch�let by the side of a torrent. The Syndic was already in bed, but Madame, his wife, speedily got him up, and we held a parley with him on the wooden staircase, all the other people standing below. He said that there were no workhouses, no orphan asylums, and that though it was a bad case, the commune had no funds; school did not open till October, and even if Toinette got work there was no lodging for her at night. However, when Charlotte promised to clothe her, he was so much enchanted with the "grandeur de sa charit�," that he said he would consult with the commune about Toinette. Meantime, in the morning Charlotte bought her some clothes, and settled something for her future; but before we left we saw that she must not be too much indulged, as she asked Charlotte, who had given her a frock, shoes, and hat, to give her also some bonbons and a parasol! We heard of Toinette Bernard for some years afterwards, and Charlotte Leycester sent annual remittances for her; but eventually she absconded, and utterly disappeared like a waif. On the 1st of August I left my companions at Chamounix to make the circuit of Mont Blanc, but the weather was horrible, and most of the time the mountain-tops were hidden in swirl and mists; the paths were watercourses, and the ch�lets where I slept with my guide, Edouard Carrier, were piercingly cold and miserable - especially that of Motets, where there was nothing to eat but potatoes; no furniture whatever, nothing but some rotten straw to lie upon; no glass and no shutter to the window, through which an icy blast blew all night from the glacier, though the air of the filthy room was quite dense with fleas. Travelling in these parts is quite different now, but I have a most wretched recollection of the long walks in the cold mist, no sound but the cry of the marmots - yet one always had a wish to go on, not back. Delightful was the change as we descended upon Courmayeur, with its valleys of chestnut-trees and its noble view of Mont Blanc, and Aosta with its Roman ruins. In returning, I was overtaken by a tremendous snowstorm at the top of the St. Bernard, and detained the whole of a most tedious day in the company of the kind priests (monks they are not) and their dogs. During this time sixty travellers arrived in turn and took refuge. We all dined together, and saw the hospice and the Morgue, which is a very awful sight: the snow has so perfectly embalmed the bodies, that they retain all their features, though quite black ; the hair also remains. In one corner was a woman hugging her baby to her breast as the death silence overtook her. We all went down through the snow In a regular caravan, and I joined my mother at Villeneuve and went with her to Clarens. Railways make travelling in Switzerland, as elsewhere, so easy now, that it is difficult to realise how long and tedious the journey to Visp was when I next left my mother to go to Zermatt. On my way I visited the old mountain-perched cathedral of Sion, then one of the most entirely beautiful and romantic churches in the world, now utterly destroyed by a "restoration," from which one might have hoped its precipitous situation would have preserved it. I walked in one day from Visp to Zermatt, and thence made all the excursions, and always alone. The Gorner Grat is much the finest view, all the others being only bits of the same. It is a bleak rock, bare of vegetation, far from humanity. Thence you look down, first by a great precipice upon a wilderness of glaciers, and beyond, upon a still greater wilderness of mountains all covered with snow. They tell you one is Monte Rosa, another the Weiss Horn, and so on, but they all look very much alike, except the great awful Matterhorn, tossing back the clouds from its twisted peak. It is a grand view, but I could never care for it. The snow hides the forms of the mountains altogether, and none of them especially strike you except the Matterhorn. There is no beauty, - as at Chamounix or Courmayeur: all is awful, bleak desolation. In memory I fully echo the sentiment I find in my journal - "I am very glad to have seen it, but, if I can help it, nothing shall ever induce me to see it again." It was a long walk from the Riffel Berg to Visp (34 miles), whence I proceeded to the Baths of Leuk, where the immense tanks, in which a crowd of people, men, women, and children, lead an every-day life like ducks, up to their chins in water, were a most ridiculous sight. Sometimes you might find a sick and solitary old lady sitting alone in the water on a bench in the corner, with her hands and feet stretched out before her ; but for the most part the patients were full of activity, laughter, and conversation. They held in the water the sort of society which once characterised the pump-room at Bath: the old people gossipped in groups, the young people flirted across their little tables. Each person possessed a tiny floating table, on which he or she placed handkerchief, gloves, flowers, smelling-bottle, newspaper, or breakfast. In one of the tanks some nuns were devoutly responding to a priest who was reciting the litany; but generally all the people were mingled together during their eight hours of daily simmering-sallow priests, fat young ladies, old men with grey beards, and young officers with jaunty little velvet caps stuck on the back of their heads. Generally they sate quite still, but sometimes there was a commotion as a whole family migrated to the other side of the bath, pushing their little tables before them; and sometimes introductions took place, and there was a great bowing and curtseying. The advent of strangers was a matter of great excitement, and you saw whole rows of heads in different head-dresses all uniformly staring at the new-comer: but woe betide him if he came upon the causeways between the tanks with his hat on his head. I had been warned of this, however, by the conducteur of the omnibus. "Oh I qu'ils crient! qu'ils crient! qu'ils crient!" I left Leuk on the 18th of August to cross the Gemmi Pass, with a boy carrying my knapsack. It was very early morning. The Gemmi is a grass mountain with a perpendicular wall of rock overhanging it, up which the narrow path winds like a corkscrew, without railing or parapet - at least it had none then - and an appalling precipice below. On this path it is most unnecessary to take a false step, but a false step must be fatal. It was an exquisitely clear, beautiful morning, and high up on the mountain-side a large party might be seen descending towards us. I did not see them, but I believe the boy did. We had just reached the top of the grassy hill and were at the foot of the precipice when there was a prolonged shouting. The whole mountain seemed to have broken out into screams, which were echoed from the hills on every side. I said, "Is it a hunt ?" - "Nein, nein," said the boy with great excitement, "es ist ein Pferd  ein Pferd muss �bergefallen sein." But then, in a moment, came one long, bitter, appalling, agonising shriek, which could be uttered for no fall of a horse - there was a sudden flash - not more - of something between the light and the precipice, and a crash amid the stones and bushes beside us - and "Oh, ein Mensch - ein Mensch!" cried the boy, as he sank fainting on the ground. Another moment, and a French gentleman rushed wildly past, his face white as a sheet, his expression fixed in voiceless horror. I eagerly asked what had happened (though I knew too well), but he rushed on as before. And directly afterwards came a number of peasants - guides probably. The two first looked bloodless, stricken aghast: it is the only time I ever saw a person's hair stand on end, but then I did, though they neither cried nor spoke. Then came one who sobbed, and another who wrung his hands, but who only said as he passed, "Ein Mensch - ein Mensch!" One of the peasants threw a cloak over the remains, and two guides cried bitterly over it. Strange to say, the body was that of a "gar�on des bains" serving as a guide: he had jumped over a little stone in his descent, had jumped a little too far, and fallen oven For one awful moment he clung to the only fir-tree in the way - the moment of the screams - then the tree gave way, and all was ended. I knew that if I did not go on at once the news would arrive at Thun before me and terrify my mother; but it was terrible, with the death-shriek ringing in one's ears, to follow the narrow unprotected path, and to pass the place where trampled turf and the broken fir-tree bore witness to the last struggle. An old German professor and his wife had left Leuk before us, and had heard nothing of what had happened. When I told them at the top of the mountain, they knelt on the grass, and touchingly and solemnly returned thanks for their safety. Then I met Theodora de Bunsen with Sir Fowell and Lady Buxton going down, and was obliged to tell them also. Awfully in sympathy with our sensations is the ghastly scenery at the top of the Gemmi - the black lake, which is frozen all the year round, and the dismal, miserable inn beside it, which is the scene of Werther's horrible tragedy, of which I have so often since told the foundation-story. My Uncle Penrhyn paid us a visit at Thun, with his daughter Emmie and a cousin, and I afterwards joined them at Lucerne, and was their guest in a most happy excursion to Andermatt. Afterwards I went alone, to Engelberg, the village and great Benedictine convent in the green Alps under the Tetlis mountains. Thence I made my way to Stanz, and penetrated into the valleys connected with the strange story of the Swiss pilgrim-saint, Nicholas von der Flue, ending in the great church of Sachselen, which contained his hideous skeleton, with diamond eyes and jewel-hung bones. Thence it was a very long walk over the Brunig (there was then no carriage-road) to Meyringen, and thence, the same day, over the Scheideck to Grundelwald; for my mother was expecting me there, and if I did not appear by the promised day, she might have been anxious; and in those days I was far too poor to have a mule: if I had money enough to pay for some luncheon, my utmost ambition was fulfilled. In returning to England, we went to Freiburg in Breisgau, and visited the Bunsens at Heidelberg, greatly delighting in their beautifully situated villa of Charlottenberg, and the view of the castle and bridge from their terrace, with its oleanders and pomegranates. Afterwards we saw Meaux and its relics of Bossuet. Uncle Julius, whose health was rapidly declining, received my mother with many tears on our return. I have a vivid recollection of that first evening. My mother read "Bless the Lord, O my soul," at evening prayers, and said she always read that after a journey, with "He healeth all thy diseases" - so true of her. We went to Hastings for Uncle Julius's Charge to the clergy, which produced much enthusiasm amongst them, very different from his lengthy sermons in Hurstmonceaux, under which the whole congregation used quietly to compose themselves to sleep, probably well aware that they would not understand a word, if they tried to attend. The effect was sometimes most ridiculous of the chancel filled with nodding heads, or of heads which had long since done nodding, and were resting on their elbows locked in fastest slumber. I believe Mrs. Sherwood describes a similar scene in one of her stories. Aunt Esther and the curate would try in vain to keep themselves awake with strong lavender lozenges during Uncle Julius's endless discourses. And then "There's Mrs. Hare asleep on one side of the Archdeacon and the curate on the other," the people would say, and he would go droning on with a sermon preached fifty times before. - There were, however, days on which Uncle Julius would emerge from the vestry with clenched hands and his face full of pale enthusiasm, and then I would whisper - to my mother! "Look, Uncle Julius is going to do Lady Macbeth!" There were no slumbers then, but rapt attention, as Uncle Julius in his most thrilling (and they were thrilling) tones went through the whole of the sleep-walking scene, wrung his hands over the pulpit cushion, unable to wash out the "accursed spot" of sin. This was generally about once a year. Though Hurstmonceaux did not comprehend them, there are, however, many fragments, especially similes, in Uncle Julius's ordinary parish sermons which will always have an effect, especially that of grief at a death - the heavy plunge when the person goes down, and the circles vividly apparent at first, then gradually widening, till they are lost and disappear altogether. And though they did not understand him, his parishioners loved Uncle Julius, for he always acted up to his own answer to a question as to the value of a living - "Heaven or hell, accordmg as the occupier does his duty." Uncle Julius had published a versified edition of the Psalms. He thought his Psalter would be adopted by the whole Church, and it was never used in a single church except Hurstmonceaux. During the service, he had the oddest way of turning over the pages with his nose. "The sixteenth morning of the month," he gave out one day. "No, 'tain't," called the voice of Martin the clerk from below, "'tis the seventeenth." "Oh, the seventeenth morning; of the month." There certainly was a curious absence ritual in the services at Hurstmonceaux. Yet one felt that Uncle Julius's whole heart was in the way he read the prayers. What was wanting arose from his personal characteristics, the same which made him always hopelessly unpunctual, which caused him to waste his mornings in hopeless dawdling just when there was most to be done, which so often sent him off for his afternoon walk just as the dinner-bell rang. I was more than usually tried during the weeks spent at home this autumn by the way in which Mrs. Alexander was set up on a pinnacle of worship by Uncle Julius and Aunt Esther - everything and everybody, especially my mother, being expected to give way to her. My journal, however, has many touching reminiscences of quiet evenings in our home life at this time when I read aloud to my dearest mother, and she played and sang "Comfort ye," I sitting on the little sofa by her side, the light from the candles falling upon "the Reading Magdalen" over the pianoforte and of her simple, earnest prayers aloud by the little round table in her own room that "the pleasures given us in this world might not draw us out of the simple way of God." Especially touching to me is the remembrance of our last evening together this summer, for it was then almost first that she began to allow the part my life bore in hers. "O God," she prayed, "be with us at our parting: and oh! prepare us to meet when parting will be at an end." As I kissed her afterwards she said, "You are a dear good child to me, darling. I may blame you sometimes, and find fault with your opinions, but you are a dear, good, dutiful child to me." As I was returning to Oxford I paid a visit to Hugh Pearson at Sonning. "Sonning, Oct 21, 1854. - The thought that my mother is well now and does not need me enables me to bear having only paper-conversation again for a little while. But how I long to know each hour of the day what my dear mother is doing, and wish that she could see me-very happy here in this peaceful little spot. "After breakfast we went out to pick up apples to feed H. P.'s pet donkey with. What a pretty place Sonning is! The river winding round, with old willows and a weir; the site of the palace of the Bishop of Sarum marked by an old ash-tree; and the church  'all as like naughty Rome as it dares,' says H. P., but very beautiful within. . . . 'What a rate you do write at, child,' he says as he is working tortoise-pace at his sermon by my side." My mother was never given to being alarmed about me at any time, but I think she must have had some anxieties this autumn; Oxford was so dreadfully unhealthy suffering from a perfect "wave of cholera," while typhus fever and small-pox were raging in the lower parts of the town. But the excitement of Aunt Kitty and Arthur about Mary Stanley, who had taken great part in preparing nurses for the victims of the Crimean War, and who eventually went out to Scutari herself as the unwelcomed assistant of Miss Nightingale, kept the family heart fixed in the East all through the autumn and winter. "Oxford, Oct 23, 1854. - There was a special cholera service last night It is very bad still, and the cases very rapid. Those taken ill at five die at seven, and for fear of infection are buried at seven the next morning." "Oct 24. - Typhus fever has broken out in the lower-town in addition to everything else, and there are 1000 cases of small-pox, besides cholera. This morning I met two men at breakfast at Mr. Jowett's. There was nothing to eat but cold mutton and some heavy bread called 'Balliol bricks,' but Mr. Jowett was in his best humour; and though he would not utter a word himself; he assisted us into uttering a good many. He is certainly at once the terror and the admiration of those he wishes to be kind to: as for myself; I love him, though I often feel I would go round three streets any day to avoid him." "Dec. 2. - Mrs. Parker20 has just been telling me the beautiful story of 'Sister Marion's' labours in the cholera. Her real name was Miss Hughes. Mrs. P. was walking with her one day, when their notice was attracted by Greenford, the landlord of the Maidenhead inn, putting his beautiful little child on his great horse, while the child was laughing and shouting for joy. Next day they heard that the child was ill. Sister Marion went at once and nursed it till it died, and it was buried the same evening. Then came the rush of cholera. When any one was seized, they sent for Sister Marion - she rubbed them, watched them, prayed with them; no cases were too dreadful for hen She often had to put them in their coffins herself. When all were panic-stricken, she remembered everything. Mrs. Parker described one deathbed, where it required two men to hold a woman down in her agonies, and her shrieks and oaths were appalling. Little Miss Hughes came in, and taking both her hands, knelt down quietly by the side of the bed, and, though the doctors and others were standing round, began to pray aloud. Gradually the face of the woman relaxed, and her oaths ceased, though her groans were still fearful. At last Sister Marion said, 'Now your mind is easier, so you have more strength, and we can try to help your body,' and when she began the rubbings, &c., the woman took it quietly, and though she died that night, it was quite peacefully. "Then the cholera camp was made. There was one house for the malignant cases, another for the convalescents, a third for the children of those taken or for those in whom there was reason to expect the disease to appear Almost every nurse bad to be dismissed for drunkenness; the people were almost alone, and the whole town seemed to depend on Sister Marion. Nine-tenths of those who took the cholera died. Mrs. P. took it herself; and was saved by constantly swallowing ice. "I have just been to dine with the Master-a large party of undergraduates and very dull, the Master every now and then giving utterance to a solemn little proposition apropos of nothing at all - such as 'A beech-tree is a very remarkable tree, Mr. Hare' - 'It is a very pleasant thing to ride in a fly, Mr. Bowden' - which no one attempted to contradict." "Dec. 11. - Yesterday I went to the service at St Thomas's, where three-fourths of the congregation were in mourning owing to the cholera. The sermon began with three strange propositions - 1. That the reading of the Scriptures is not necessary to salvation. 2. That the Gospel consists not in the written Word, but in certain facts laid down and elucidated by tile Church. 3. That the Scriptures ought not to be used as a means of converting the heathen. I suppose the sermon was directed against the Bible Society." I insert a few paragraphs from my written winter-journal. They scarcely give an idea of the stagnation of our Hurstmonceaux life. "Dec. 14.- A solemn tea-drinking of parish ladies at the Rectory. My mother very ailing with trembling, and almost deaf." "Dec. - 15. - A bitter drive to Hailsham through the bleak ugly lanes. Mother very poorly, and unable to show interest in or comprehension of anything. Entirely thrown on my own resources." "Dec. 16. - Intense cold and misery at church. Ill with this, and felt the great usual Sunday want of anything to do, as I did not like even to open any book which might offend mother; but at last, finding 'Arnold's Life' would not be taken ill, settled to that. Mother not able to speak or hear; felt the great solitariness of loneliness not alone, and longed to have some friend who would enter into my odd little trials - surely singular at twenty - but I never have one." "Dec. 17. - Bitter cold and a great gale. Siberia can scarcely be colder than Hurstmonceaux. Went by mother's wish to collect 'Missionary Pence' from the poor. No words can say how I hate this begging system, especially from the poor, who loathe it, but do not dare to refuse when 'the lady sends for their penny.' Sate a long time with Widow Hunnisett, and wondered how I shall ever endure it when I am in Orders, and have to sit daily in the cottages boring the people and myself." At the end of December, partly probably in consequence of the cold to which I was constantly exposed, I became very ill with an agonising internal abscess, and though this eventually gave way to application of foxglove leaves (digitalis), just when a severe surgical operation was intended, I was long in entirely recovering. My mother's feeble powers, however, soon urged me to rouse myself, and, as soon as I could bring it about, to remove her to London, as Uncle Julius was failing daily, and I knew even then by experience how easily an invalid can bear a great sorrow which is unseen, while a great sorrow witnessed in all its harrowing incidents and details is often fatal to them. "Jan. 1, 1855. - With mother to the Rectory this afternoon, wrapped up in the carriage. I went to Uncle Julius in his room. He does seem now most really ill: I have never seen him more so. He bemoaned his never being able to do anything now. Looking at his mother's picture21 hanging opposite, he said what a treasure it was to him. His face quite lighted up when he saw my mother, but (naturally perhaps) he had not the slightest pleasure in seeing me, and his tone instantly altered as he turned to me from wishing her good-bye." "Jan. 2. - Mother and I walked towards the school, but clouds gathering over the downs and level warned us home again. In the afternoon I was too ill to go out in the damp, but the crimson sunset cast beautiful gleams of light into the room, and mother went out to enjoy it in the garden." "Jan. 3. - We accomplished a visit to the new schoolmistress in the midst of her duties. A bright sunny spring morning, every little leaf looking up in gladness, and just that soft sighing breeze in the garden, with a freshness of newly-watered earth and dewy flowers, which is always associated with Lime in my mind. How beautiful - how peaceful - is our little home! Circumstances often prevent my enjoying it now, but if I left it, with what an intensity of longing love should I look back upon days spent here. In the afternoon I was very impatient of incessant small contradictions, and in the evening felt as if I had not been quite as loving or devoted to my mother as I might have been for the last few days - not throwing myself sufficiently into every little trivial interest of hers. Yet this I wish to do with all my heart; and as for her wishes, they ought to be not only fulfilled, but anticipated by me. . . . What I was reading in 'North and South' perhaps made me more sensitive, and caused me to watch my mother more intently this evening, and it struck me for the first time that she suffered when her cheek was so flushed and her eyes shut, and her hand moved nervously upwards. Perhaps it was only some painful thought, but it has often made me turn from my book to watch her anxiously when she was not looking." "Jan. 4. - We drove along the Ninfield road, fresh and open, with the wind whistling through the oak-trees on the height, and then went to the Rectory. Mother went to Uncle Julius first, and then wished me to go. It was very difficult to find anything to say, for his illness had made him even more impatient than usual, at any word of mine, whatever it might be about." "6 Grosvenor Crescent, Jan. 21. - The mother had fever again in the night, and told Lea in the morning that she had been in the Revelations, and she seemed indeed to have seen all that is there described. She has talked much since of the Holy City and the golden palace as of something she had looked upon. 'What a comfort it is,' she said, 'that my visions do not take me to Hurstmonceaux: I do not know how I could bear that.' It is indeed a comfort. She seems always only to see things most beautiful, and more of heaven than of earth. "This morning, as I have been sitting by my mother, I have listened. As she lay dozing, she spoke in pauses - 'I see the sea - It is a very misty morning, a very misty morning - There is a white boat tossing in the distance - It is getting black, it is so very misty - There is something coming - It is a great ship - They have put up a sail - It is very misty - Now I can scarcely see anything - Now it is all black.'" "Jan.23, 1855. - Before I was up, John came and said he thought there was a worse account from Hurstmonceaux. Soon Lea came, and I asked what it was. 'It is over. He is gone. The Archdeacon is dead!' One had always fancied one expected this, but the reality is a different thing - that he who had always in one way or another influence daily thoughts and occupations had utterly passed out of one's life - would never influence it again. "Jan. 29. - We reached home by midday. Mrs. Alexander came in the afternoon, and described his last words as 'Upwards - upwards.' In the evening Arthur Stanley and George Bunsen arrived." "Jan. 30. - I went to the Rectory with Arthur at eleven. . . . In the midst of the library, amongst Uncle Julius's own books and papers, all that was mortal of him was once more present. It lay in a black coffin inscribed - 'Julius Charles Hare. Born at Bologna. Died at Hurstmonceaux.' But his spirit? - how I wondered if it was present and saw us as we stood there. "Through the open door of the drawing-room I saw all the bearers come in, in their white smock-frocks and crape bands, and go out again, carrying him for the last time over his own threshold. On, on they passed, into the snowy drive, with the full sunshine falling upon the pall while the wind caught its white edges and waved them to and fro. Then some one called us, and I followed with Uncle Gustavus Hare immediately behind the coffin, six clergy who had been especially valued by Uncle Julius carrying the pall, and Arthur Stanley, Orby Shipley,24 the Bishop of St. David's, and a number of other friends following, and then a long procession - clergy, schools, parishioners. "On, down the shrubbery, with the snow still glittering on the evergreen leaves, to the gate, where many more people fell into the ranks behind. The wind was shrill and piercing, arid, fresh from a sick-room, I felt numbed with the cold and fatigue. At Gardner Street all the shutters were shut, and the inmates of every house stood at their doors ready to join the procession. Amongst those waiting in front of the blacksmith's was old Edward Burchett. Strange to think that he should have known my great-grandfather, and lived in Hurstmonceaux Castle (where he was 'clock-winder') in its palmy days, and that he should be living still to see the last Hare 'of Hurstmonceaux' carried to his grave. "More crowds of people joined from Windmill Hill and Lime Cross; it was as if by simultaneous movement the whole parish came forward to do honour to one who had certainly been as its father for twenty-two years. As the procession halted to change bearers at the bend of the road, I knew that my mother was looking out and could see it from her window. An immense body of clergy joined us at Hurstmonceaux Place, and many very old and familiar people - old Judith Coleman led by a little girl, old Pinnock on his crutches, and others. At the foot of the church hill three black-veiled figures - Aunt Esther and her sisters - were waiting. "The effect was beautiful of passing through the churchyard with a pure covering of untrodden snow into the church lighted by full sunshine, and looking back and seeing the hill and the winding road filled with people as far as the eye could reach. "Then we went over to the grave. There, around the foot of the yew-tree, by the cross over the grave of Uncle Marcus, were grouped all the oldest people in the parish. Mr. Simpkinson read, the clergy standing around the open grave responded; and, as with one voice, all repeated the Lord's Prayer, which, broken as it was by sobs, had a peculiar solemnity, the words 'Thy will be done' bringing their own especial significance to many hearts." 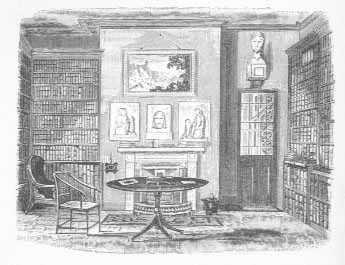 The weeks which succeeded my uncle's funeral were occupied by hard work at the Rectory for his widow, chiefly making a catalogue of the fourteen thousand volumes in the library, which she gave for the most part to Trinity College. Uncle Julius had intended them as a provision for her, to whom he had very little money to bequeath; but she chose thus to dispose of them, and it was useless to contend with her. In the same way she decided upon giving away all the familiar pictures and sculptures, the former to the Fitzwilliam Museum at Cambridge. My mother felt parting as I did with all these beautiful inanimate witnesses of our past lives - the first works of art I had known, the only ones which I then knew intimately. They have not been much valued at Cambridge; where the authorship of most of the pictures has been questioned; but whoever they were by, to us, who lived with them so much, they were always delightful. "Feb. 14, 1855. - Mother and I were standing on the steps of the Rectory greenhouse when the carriage came to take me away (to return to Oxford). I shall always remember that last moment. The warm air fragrant with the flowers: the orange-trees laden with golden fruit: the long last look at the Roman senator and his wife sitting in their niche: at the Raffaelle, the Luini, the Giorgione - and then the place which had been the occasional interest and the constant misery of my childhood existed for me no longer." To MY MOTHER (from Oxford). "March 13. - Your letter was the first thing to greet the opening of my twenty-first year Being of age is a great thing, I am told, but really it makes no difference to me. Only I hope that each year will help me to be more of a comfort and companion to you, and then there will be some good in growing old. In the evening my birthday was celebrated here by a 'wine,' at which there was a good deal of squabbling as to who should propose my health - the senior collegian, the senior scholar, or an old Harrovian; but it ended in the whole company doing it together, with great cheering and hurrahing, and then Coleridge proposed that they should give 'He's a jolly good fellow,' with musical honours - and a fine uproar there was. I had a number of charming presents from college friends-books, prints, and old china." I was so anxious about my next public examination - "Moderations" - that, as my mother seemed then tolerably well, I had begged to be allowed to pass most of the Easter vacation in Oxford, studying uninterruptedly in the empty college. This examination was always the most alarming of all to me, as I had been so ill-grounded, owing to Mr. R.'s neglect, and grammar was the great requirement. Indeed, at more than double the age I was then, the tension and anxiety I was in often repeated itself to me in sleep, and I woke in an agony thinking that "Moderations were coming on, and that I was not a bit prepared!" One day, in the midst of our work, I went in a canoe down Godstowe river, accompanied by a friend (who had also "stayed up") in another canoe, as far as the ruin, and we dined at the little inn. The spring sun was peculiarly hot, and I remember feeling much oppressed with the smell of the weeds in the river, being very unwell at the inn, and reaching college with difficulty. Next day I was too ill to leave my bed, and when the doctor came he said I had the measles, which soon developed themselves (for the second time) with all violence. I was so ill, and so covered with measles, that the doctor said - the ground being deep in snow - that it was as much as my life was worth to get up or risk any exposure to cold. Ten minutes afterwards a telegram from Lime was given to me. It came from Mrs. Stanley (evidently already summoned), and bade me come directly - my mother was seriously ill.
My decision was made at once. If I exposed myself to the cold, I should perhaps die; but if I stayed still in the agony of anxiety I was in, I should certainly die. I sent for a friend, who helped me to dress and pack, summoned a fly and gave double fare to catch the next train. It was a dreadful journey. I remember how faint I was, but that I always sate bolt upright and determined not to give in. I recollected that my mother had once said that if she were very ill, her cousin Charlotte Leycester must not be prevented coming to her. So as I passed through London I called for her, and we went on together It was intensely cold, and my measles were all driven in; they never came out again - there was not time. There was too much to think of; I could not attend to myself; however ill I felt. I could only feel that my precious mother was in danger. John met me at the door of Lime - "You are still in time." Then Aunt Kitty and Lea came down, Lea very much overcome at seeing me - "I can bear anything now you are here." My mother lay in still, deep stupor. She had not been well during the last days which Aunt Esther spent at the Rectory, feeling too acutely for her. When Aunt Esther left the Rectory finally and moved to Lime with Mrs. Alexander, my mother was ready to welcome them. But it was a last effort. An hour after they arrived she collapsed. From that time she had lain rigid for sixty hours: she seemed only to have an inner consciousness, all outward sense was gone. We knew afterwards that she would have spoken if she could - she would have screamed if she could, but she could not. Still Dr. Hale said, "Whilst that inner consciousness appears to last there is hope." When I went to her, she lay quite still. Her face was drawn and much altered. There was no speculation in her eyes, which were glassy. and fixed like stone. One cheek alone was flushed and red as vermilion. I went up. She did not notice me. There was no gleam, no significance, no movement, but when they asked if she knew I was come, she articulated "Yes." I could not sleep at night and listened through the dressing-room wall. Suddenly I heard her cry out, and John Gidman stood by my bedside sobbing violently - "You must be told she is worse." I went into the room. She was in violent delirium. Aunt Kitty was trying to calm her with texts of Scripture; Lea was kneeling in her dressing-gown at the foot of the bed. I was determined she should not die. I felt as if I were wrestling for her life. I could not have spared her then. But God had mercy upon my agony. She became calmer. Suddenly, in the morning, as I was sitting by her, she said, "Augustus, fetch me a piece of bread." I did. She ate it. From that time gradually - very gradually - she dawned back into life from her sixty hours' trance, whilst I was watching over her every minute. Four days afterwards came Easter Eve. When I went in that morning, she was quite herself. "What a beautiful quiet morning," she said; "it is just such a day as Easter Eve ought to be. To me this is the most solemn day of all the year, for on it my Saviour was neither on earth nor in heaven, at least in his bodily form. . . . I am so glad that I learnt Wesley's hymn ("All blessing, glory, honour, praise") before I was ill: I can say it now." I see in my journal that on that afternoon of my darling mother's restoration I walked to the Rectory, and the garden was bright and smiling as ever, in the oak-walks it seemed as if the shadow of him who paced it so often must sometimes be walking still. There was no furniture left in the house except bookcases, and I was astonished then to realise for the first time how bare walls cannot speak to one; it is the objects which they have enclosed that have the human interest. "April 8, 1855. - The mother has greeted me with 'A blessed Easter to you, darling - Christ is risen.' Last night tears came into her eyes as she remembered that Uncle Julius would never say those words to her again, but to-day she is bright and smiling, and the sunshine outside seems reflected from hen The others have been to church, so I have been alone most of the day in her sick-room." "April 9. - In my mother's room most of the day. My Oxford work is sadly hindered; but that is not my first duty." "April 14. - The dear mother came downstairs for the first time since her illness, and was delighted with the flowers - the heaths and cinerarias in the window recesses, and the masses of violets in the garden. There was much to be told that was new to her, of all that had happened since she went upstairs, but which had to be told very cautiously, for fear of overexcitement. Arthur Stanley, who has been here some days, examined me in my work, and in the afternoon we had a delightful walk through the woods to the farmhouse of the Hole." "April 15. - Arthur preached in the church on the spies bringing back to the Israelites the fruits of the promised land - going on to describe how the fruits of our promised land were given us in the lives of those who were gone before - that these were the fruits of the Spirit spoken of in three verses of the Bible-verses better known perhaps and more loved than any others by the people of Hurstmonceaux. The first was written on the distant grave of one whom many of them had never seen, but whom all of them had heard of - Augustus, whose fruit was 'gentleness, and meekness, and long suffering.' The second was the verse inscribed on the older of the crosses under their own yew-tree: 'righteousness and truth' were the especial points which Marcus bore. The third was written on the latest and most loved cross: it told of 'wisdom' - that was Julius's fruit." "April 16. - I left my darling mother to return to my work at Oxford. I remained with her till John tapped at the door to say the carriage was there. 'God bless you, my own darling - God bless you, dearest' - and I was gone, leaving my sweetest one looking after me with a smile upon her face. Oh, what a blessing it has been to leave her thus! How different this leaving Lime might have been, with no sense of home remaining, except in the shadow of the yew-tree and by the crosses in the churchyard!" I might write of my mother as Chalmers of the Duchesse de Brogue: "Her prayers poured forth in her domestic circle, falling upon my ears like the music of Paradise, leave their fragance behind them, and sweet is their remembrance"
On my way back to Oxford, I first saw the beautiful Empress Eugenie on her passage through London to Windsor with the Emperor Napoleon III. They had a most enthusiastic. reception, the streets were thronged everywhere, and it was a very fine sight. Almost immediately after reaching college I was "in the Schools" for "Moderations," but did very well, as I had employed every available moment in preparing myself. Nevertheless, I was too anxious to go to fetch my own testamur, and vividly recall the feeling of ecstasy with which, from my high oriel window, I saw my friend Milligan come waving it round the corner of the High Street. A delightful feature of this term, which I always remember with pleasure, was an excursion by rail to Evesham and its abbey, just when the apple-orchards, with which the whole vale is filled, were in bloom like a great garden. As summer approached, we were frequently on the river. George Sheffield generally "punted" me, and Milligan floated alongside in a canoe. 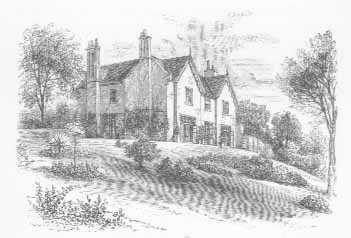 Another expedition of very great interest to me was that to Chalfont St. Giles in Buckinghamshire, where I saw the Vatche, the home of my great-great-grand-father, Bishop Hare, who married its heiress, a very attractive and charming place, which was sold by my great-grandfather. The " Hare Mausoleum," a hideous brick building, was then standing, attached to the church, and there Bishop Hare and many of his descendants were buried, the last funeral having been that (in 1820) of Anna-Maria Bulkeley, daughter of my grandfather's sister. The minute descriptions, with which I was familiar, in the letters of Bishop Hare and his widow, gave quite a historic charm to the scenes at Chalfont - the window where Mary Hare sate "in her great house, much too big and good for her, with as few servants as she could make shift with," and watched her "deare lord carried to church" - the steep lane down which the stately procession, in which "there were no bishops for pall-bearers because it was too cold for them to come into the country, passed with such difficulty the manor pew, where Mary Margaret Hare complained over "Laurentia and all the troublesome little children" - the almshouses, built and endowed by the Robert Hare who married Miss Selman. The installation of Lord Derby as Chancellor and the reception of Disraeli (then still a dandy in ringlets, velvet waistcoat, and prominent gold chains) made the "Commemoration" of this year especially exciting; though my pleasure in it was damped by the sudden news of the failure of Sir John Paul's25 bank in the Strand, and fear for its effect upon my "real mother" and sister, who lost about two thousand a year by this catastrophe, though it was not this cause which involved them in the irretrievable ruin that afterwards befell them. The longer I lived at Oxford, the more I learnt how little I could believe anything I heard there. Connected with a college of which many of the members belonged to the lower upper classes of society, I had peculiar opportunities for observing how often young men thought it worth while to pretend to a position and acquaintances which did not belong to them. One instance of this is too extraordinary to be omitted. From the very beginning of February, certain men in Hall (the great place for gossip and scandal) had 'spoken constantly of a certain Mrs. Fortescue, who had come to reside in Oxford, an exceedingly clever person and very highly connected'. The subject did not interest me in the least, but still I heard of her so often, that I could not help being familiar with her name. Gradually her acquaintance seem to extend; men said, "I don't exactly know Mrs. Fortescue, but my family do" or "my friend so and so means to introduce me," and so on. Mrs. Fortescue's witty sayings also were frequently repeated and commented upon. After some months it was said that Mrs. Fortescue was going to give a ball, for which there was anxiety to procure invitations - some men "had them, but did not mean to go," - others were "sure to have them." As I did not wish to go, the subject was of very slight importance to me. Within a week of the alleged date of Mrs. Fortescues ball, my friend P. came late at night to see me. He said, "I have a dreadful thing to tell you. I have a secret to reveal at which you will be aghast. . . - I am Mrs. Fortescue!" Early in the year, observing how apt men were to assume intimacies which they did not possess, he and one or two other friends had agreed to talk incessantly of one person, a wholly imaginary person, and, while "making her the fashion," see if, very soon, a number of men would not pretend to be intimate with her. Dozens fell into the trap. In a certain class of men, every one was afraid of being behind his neighbour in boasting of an intimacy, &c. with one who was praised so highly. They pretended to have received invitations to the imaginary ball. But the trick had assumed much greater dimensions than ever was intended at first; many people had been duped whose fury at the discovery would be a serious matter; many Oxford ladies had been asked to the ball, and, in fact, there was nothing to be done now but to go through with the whole drama to the end - the ball must take place! P. was quite prepared for the emergency of having to represent Mrs. Fortescue, but positively refused to go through it alone. His object was to implore me to help him out by appearing in some assumed character. This I for a long time refused, but at length assented to get up all the statistics of the neighbouring great house of Nuneham, and to arrive as Miss Harcourt, an imaginary niece of Lady Waldegrave, just come from thence. I was well acquainted with the best Oxford dressmaker, with whom one of my friends lodged, and she undertook to make my dress; while various styles of hair were tried by another person, who undertook that department, to see which produced the most complete disguise. When the evening of the ball arrived, I took care to reach "Wyatt's Rooms" very early. Only a number of men and a very few ladies were there, when "Miss Harcourt - Miss Amy Leighton" were shouted up the staircase, and I sailed up (with another undergraduate, who represented my somewhat elderly companion) in a white tulle dress trimmed with a little gold lace and looped up with blue corn-flowers, a wreath (wreaths were worn then) of the same, and a blue opera-cloak. Mrs. Fortescue, an elderly handsome woman, quite on the retour, dressed in crimson satin, came forward to meet me and kissed me on both cheeks, and I was introduced to a lady - a real lady - by whom I sate down. It is impossible to detail all the absurdities of the situation, all the awkward positions we were thrown into (Mrs. Fortescue had engaged her servants, being then in morning toilette, days before). Suffice it to say that the guests assembled, and the ball and the supper afterwards went off perfectly, and gave boundless satisfaction. I only refused to dance, pretending to have sprained my ankle in coming down in the train some days before; but I limped round the room on the arm of my own doctor (who never discovered me) between the dances, and examined the pictures on the walls. Mrs. Fortescue was inimitable. The trick was, never discovered at the time, and would still be a secret, but that a friend, to whom I had revealed the story on promise of strict secrecy, repeated it long afterwards to P.'s elder brother. In June my mother visited me at Oxford, on her way to West Malvern, where we had delightful rooms overlooking the Herefordshire plains, in the house of "Phbe Gale," who had long been a valued servant in the family. We much enjoyed delightful drives with the Leycesters in the neighbourhood; also frequently we went to see the Miss Ragsters, two remnants of one of the oldest families in Worcestershire, who, in a great age, were living, very poor, in a primitive farmhouse, with their one servant Betty - "the girl" they always called her, who still wore a pinafore, though she had been in their service forty-seven years. Their life had never varied: they had never seen a railway, and had never even been to Little Malvern. They gave a curious account of the poet Wordsworth coming to luncheon with them. From Malvern I went to the Wye with Willie Milligan. "Never," as I wrote to my mother, "was there a companion so delightful, so amusing, so charming and good-natured under all circumstances - and his circumstances were certainly none of the most brilliant, as he lost all his luggage at the outset, and had to perform the whole journey with nothing of his own but a comb and a tooth-brush." Wherever we went, he made friends, retailing all the local information gained from one person to the next he met, in the most entertaining way. Especially do I remember one occasion at Chepstow. I was drawing the castle, surrounded by about a hundred little children, and he made himself so charming to them, and was so indescribably entertaining, that one after the other of the little things succumbed, till at last the whole party were rolling on the ground in fits of uncontrollable laughter. On this visit to Chepstow I remember the touching incident of our walking in the churchyard late at night, and seeing a woman bring a number of glow-worms to put upon her child's grave, that she might still see it from the window of her cottage. We saw Tintern, Raglan, Goodrich (the great collection of " Meyrick's Ancient Armour" was there then), and Ross, with its old market-house, still standing, owing to the recent defence of the market-women, who had positively refused to enter a new one which had been built for them. A shorter expedition from Malvern was one which I made with Emma Leycester to Worcester, which resulted in a story I published in a magazine years afterwards - "The Shadows of Old Worcester." In one of the passages of the china manufactory we saw a figure of "Tragedy" - a magnificently handsome woman with a wreath of laurel on her head. Was it Mrs. Siddons? said the guide, "it was modelled from a poor girl who used to work here, and who was murdered by her lover last night"
From Malvern we drove through the rose-fringed lanes by Ledbury to Hereford, and then went to stay at Tickwood, in Shropshire, with my uncle's old friend Mr. Hull, and Mrs. Butler, my mother's early instructress, who lived there to take care of his only child by his second wife (Miss Rowe)  Rowna - whose great wealth was her only fault in her father's eyes. Afterwards we went to meet our old friends, the Tayleurs of Buntingsdale, at the quaint old Raven Inn at Shrewsbury, and thence proceeded to Llangollen and Valle Crucis. Plas Newydd, the house of "the ladies of Llangollen,"26 was still in existence - a very ridiculous little place; and "the ladies" had had successors, Miss Andrews and Miss Lolly! - of whom Miss Lolly still survived. A beautiful varied drive by Corwen and Bettwys y Coed took us to the Penrhyn Arms at Capel Curig, where my mother had often been in her childhood, and, here, at the bottom of the garden, is the noble view of Snowdon across lake and moorland, so well known from pictures innumerable. From Llanberis I ascended Snowdon, which in my recollection is - from its innate picturesqueness, not its views - the only mountain in Europe worth ascending, except Soracte. Afterwards we went to the William Stanleys27 at Penrhys in Anglesea, and it was a very pleasant visit, as Mrs. William Stanley was a most kind and amusing person, good-natured to young people, and exceedingly pleased with my delight over all she showed me, especially over the rocks - so glorious in colour - near the South Stack lighthouse. It recalls oddly the extreme poverty as to pocket-money in which I spent my youth, when I remember that the sum of which my Aunt Lucy gave me at Penrhys was at twenty-one the largest present in money that I had ever yet received in my life. I spent it in the purchase of Lord Lindsay's " Christian Art." After visiting Penrhyn Castle, we went to take lodgings near the Albert Ways at Conway, of which I recollect nothing remarkable except the exemplification of "cast not your pearls before swine" in the frantic eagerness the pigs at Towen showed to get at the mussels from which the tiny pearls found there (and sold at two shillings an ounce) were being extracted by the pearl-fishers. Our next visit was to Bodeiwyddelan, the fine place of Sir John and Lady Sarah Williams. We went afterwards to Alton Towers, I1am in Dovedale, Matlock, and Rowsley - whence I saw Chatsworth and spent several days in drawing the old courts of Haddon Hall. All through the past winter the Crimean War had been an absorbing interest, people had sobbed in the churches when the prayer for time of war was read, and even those not immediately concerned had waited in agonised expectation for the news from the Alma, Inkermann, the Redan. While we were at Lichfield came the news of the capture of Sebastopol, announced by the bells of the cathedral, followed by all the churches, and every town and village became gay with flags from every window. In returning home this year, I felt even more anxious than before to improve and educate myself and always got up for the purpose as early as I could, recollecting how Chevalier Bunsen, by always getting up four hours before other people, made his year into sixteen months instead of twelve. Beginning to think of colour in sketching now tended to make me even more observant than I had been of the wonderfully artistic elements of the scenery around our home - the long lines of the levels with their fleeting shadows, the delicate softness of the distant downs, the trees embossed in their dark green against the burnt-up grass of the old deer-park. "Sept 24, 1855. - We have had a visit from Miss Rosam, the last of the old Sussex family who once lived at Lime. She said when she was here as a little child the old convent was still standing. She remembered the deep massive Saxon (?) archway at the entrance and the large dark hall into which it led. "'Were there any stories about the place?" I asked. "Sept 29. - We came in the morning to Eastbourne, which is much altered and enlarged, only a few of the old familiar features left as landmarks - Sergeant Bruce's house, No.13 - O how I suffered there! - Miss Holland's, outside which I used to wait in my agonies of grief and rage - the beach where as a little child I played at building houses,." "Oct 4. 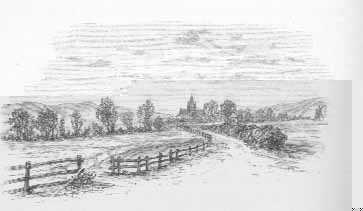 - In spite of threatening clouds, we drove to Wilmington, whence I walked with Mr. Cooper to Alfriston, a most wild out-of-the way place, just suited for the beautiful 'effects' of Copley Fielding. The cruciform church, with its battered shingled spire, stands on a little hill, and, with a few wind-stricken trees around it, is backed by a hazy distance of downs, where the softest grey melts into the green. When we were there, all the clouds were tossed into wild forms, with only a gleam of frightened sunshine struggling through here and there." Oct 7. - I fear I rather distressed mother to-day by reverting to the Rectory miseries, the recollection of which was aroused by finding an old journal. I will never do it again. My darling mother has been given back to me from the brink of the grave to love and to cherish, and, whatever it costs me, can' I ever say anything to cause her even one flush of pain? My will is strong, I know, and it shall be exercised in always ignoring my own troubles and prejudices, and never forgetting to anticipate each thought, each wish of hers. Henceforward I am determined to have no separate identity, and to be only her reflection." "Oct 25. - Went to see old Mrs. Pinnock. She was lying on her rag-bed in her wretched garret, sadly changed now from the old woman who, two years ago, would go in the spring-time to Lime Wood that she might see the bluebells and listen to the nightingales. Now her old husband sate by, pointing at her worn, dying form, and exclaiming,' Poor cratur! poor cratur!' She fumbled her poor shrunken hands over the bedclothes and murmured, 'God bless you, sir; may God bless you.' They are probably the last words I shall ever hear from her, and she has always been an object of interest. As I read 'Shadows ' this last evening to the mother, I could not help feeling how like some of them my own home reminiscences must some day become, so sad and so softened. But it is no use to think about the future, for which only God can arrange. 'Good-night, darling, comfort and blessing of my life,' mother said to me to-night. 'I will try not to be too anxious. May you be preserved, and may I have faith. Good-night, my own Birdie.'" "Chartwell(Mr. Colquhoun's), Oct 18, 1855.  This is a beautiful neighbourhood. . . . How every hour of the day have I thought of my sweetest mother, and longed to know what she was doing. We have been so much together this vacation, and so uncloudedly happy, that it is unnatural to be separate; but my darling mother and I are never away from one another in heart, though we so often are in body. And what a blessing it is for me to have left my mother so well, and to feel that she can still take so much interest and be so happy in the old home, and that I may go on cheerily with my Oxford work." "Portishead, Nov. 10. - How often I have thought of my mother when sitting here in the little baywindow, surrounded by the quaint pictures and china, and the old furniture. Miss Boyle29 is in her great chair, her white hair brushed back over her forehead. The Channel is a dull lead-colour, and the Welsh mountains are half shrouded in clouds, but every now and then comes out one of those long gleams and lines of light which are so characteristic of this place. The day I arrived, a worn-out clockmaker and a retired architect came to spend the evening and read Shakespeare, and Miss Boyle made herself quite as charming to them as she has doubtless been all summer to the archduchesses and princesses with whom she has been staying in Germany. The next day we went to Clevedon, and saw the old cruciform church above the sea, celebrated in 'In Memoriam,' where Arthur Hallam and his brothers and sisters are buried. From the knoll above was a lovely view of the church-immediately below was a precipice with the white breakers at the bottom, which beyond the church ripple up into two little sandy bays: in the distance, the Welsh mountains, instead of blue, were the most delicate green. We returned by Clapton, where, beside an ancient manor-house, is a little church upon a hill, with a group of old yew-trees." "Oxford, Nov. 15. - On Monday, Miss Boyle came in my fly to Bristol, her mission. being to break a man she had met with of drunkenness, having made a promise to his wife that she would save him. She said that she had shut herself up for hours in prayer about it, and that, though she did not know in the least how it was to be done, she was on her way to Bristol to do it. One day, as we were walking, we met a woman who knew that she had seen her in a drunken state. 'You will never speak to me again, ma'am,' said the woman; 'I can never dare see you again.' - 'God forbid,' answered Miss Boyle. 'I've been as great a sinner myself in my time, and I can never forsake you because you've done wrong: it is more reason why I should try to lead you to do right.' I had an interesting day at Bath with dear old Mr. Landor, who sent his best remembrances to you-' the best and kindest creature he ever knew.'" "Yesterday I went to luncheon at Iffley with Miss Sydney Warburton, authoress of 'Letters to my Unknown Friends,' and sister of the Rector - a most remarkable and interesting person. She had been speaking of the study of life, when the door opened and a young lady entered. Miss Warburton had just time to whisper 'Watch her - she is a study indeed.' It was Mrs. Eliot Warburton, uninteresting in her first aspect, but marvellously original and powerful in all she said." "Nov. 26. - I have been a long drive to Boarstall Tower, which is like an old Border castle, with a moat and bridge. It was defended during the Civil Wars by a Royalist lady, who, when starved out after some months' siege, made her escape by a subterranean passage, carrying off everything with hen After wards it was always in the hands of the Aubreys, till, in the last century, Sir Edward Aubrey accidentally poisoned his only and idolised son there. The old nurse imagined that no one knew what had happened but herself; and she spent her whole life in trying to prevent Sir Edward from finding out what he had done, and succeeded so well, that it was years before he discovered it. At last, at a contested election, a man in the opposition called out, 'Who murdered his own son?' which led to inquiries, and when Sir Edward found out the truth, he died of the shock. "Mrs. Eliot Warburton and her sister-in-law have just been to luncheon with me in college, and I am as much charmed with them as before." "Dec. 3. - I have been to spend Sunday at Iffley with the Warburtons." I have inserted these notices of my first acquaintance with the Warburtons, because for some years after this they bore so large a share in all my interests and thoughts. Mrs. Eliot Warburton at that time chiefly lived at Oxford or Iffley with her two little boys. Her brother, Dr. Cradock, was Principal of Brazenose, and had married Miss Lister, the maid of honour, with whom I became very intimate, scarcely passing a day without going to Dr. Cradock's house. Miss Warburton died not long afterwards, but Mrs. Eliot Warburton became one of my dearest friends, and not mine only, but that of my college circle; for she lived with us in singular, probably unique intimacy, as if she had been an undergraduate herself. Scarcely a morning passed without her coming to our rooms, scarcely an afternoon without our walking with her or going with her on the river. It was a friendship of the very best kind, with a constant interchange of the best and highest thoughts, and her one object was to stimulate us onwards to the noblest aims and ambitions, though I believe she overrated us, and was mistaken in her great desire that her two boys should grow up like Sheffield and me. We gave her a little dog, which she called "Sheffie" after him. We often went to a distant woo4 together, where we spent whole hours amongst the primroses and bluebells or wandered amongst "the warm green muffled Cumnor hills," as Matthew Arnold calls them; in the evenings we frequently acted charades in Mrs. Cradock's house. Our intimacy was never broken while I stayed at Oxford. But I never saw my dear friend afterwards. In 1857 I heard with a shock of what it is strange that I had never for an instant anticipated  her engagement to make a second marriage. She wrote to tell me of it herself - but I never heard from her again. She had other children, girls, and a few years afterwards she died. Her death was the first great sorrow I had ever felt from death out of my own family. Her memory will always be a possession to me. I often saw her husband afterwards in London, but as I had never seen him with her, it is difficult for me to associate him with her in my mind. "Lime, Dec. 23, 1855. - I have found such a true observation in 'Heartsease' - 'One must humble oneself in the dust and crawl under the archway before one can enter the beautiful palace.' This is exactly what I feel now in waiting upon my mother. When sensible of being more attentive and lovingly careful than usual, I am, of course, conscious that I must be deficient at other times, and so that, while I fancy I do all that could be done, I frequently fall short. A greater effort is necessary to prevent my mind being even preoccupied when it is possible that she may want sympathy or interest, even though it may be in the very merest trifles. "The dear mother says her great wish is that I should study - drink deep, as she calls it - in Latin and Greek, for the strengthening of my mind. It is quite in vain to try to convince her that college lectures only improve one for the worse, and that I might do myself and the world more good by devoting myself to English literature and diction, the one only thing in which it is ever possible that I might ever distinguish myself. Oh, how I wish I could become an author! I begin so now to thirst after distinction of some kind, and of that kind above all others: but I know my mind must receive quite a new tone first, and that my scattered fragments of sense would have to be called into an unanimous action to which they are quite unaccustomed. "The Talmud says 'that there are four kinds of pupils  the sponge and the funnel, the strainer and the sieve; the sponge is he who spongeth up everything; and the funnel is he that taketh in at this ear and letteth out at that: the strainer is he that letteth go the wine and retaineth the dross; the sieve is he that letteth go the bran and retaineth the fine flour. I think I have begun at least to wish to belong to the last. "It has been fearfully cold lately, and it has told sadly upon the mother and has aged her years in a week. But she is most sweet and gentle-smiling and trying to find amusement and interest even in her ailments, and with a loving smile and look for the least thing done for her." 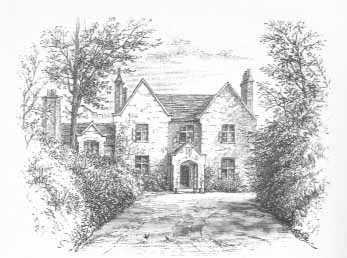 Soon after this was written we went to London, and the rest of the winter was spent between the house of Mrs. Stanley, 6 Grosvenor Crescent, and that of my Uncle Penrhyn at Sheen. At Grosvenor Crescent I often had the opportunity of seeing people of more or less interest, for my Aunt Kitty was a capital talker, as well as a very wise and clever thinker She had "le bon sens � jet continu," as Victor Hugo said of Voltaire. She also understood the art of showing off others to the best advantage, and in society she never failed to practise it, which always made her popular; at home, except when Arthur was present, she kept all the conversation to herself; which was also for the best. Macaulay often dined with her, and talked to a degree which made those who heard him sympathise with Sydney Smith, who called him "that talking machine," talked of his "flumen sermonis'," and declared that, when ill, he dreamt he was chained to a rock and being talked to death by Macaulay or Harriet Martineau. This year also I met Mrs. Stowe, whose. book "Uncle Tom's Cabin" made at the time a more profound impression in England than any other book I ever remember. She was very entertaining in describing her Scotch visits. Inverary she had liked, but she declared with vehemence that she would "rather be smashed into triangles than go to Dunrobin again." 1 Afterwards (1878) Master of Balliol. He died October 1893. 3 Authoress of "Sickness, its Trials and Blessings," &c.
4 Afterwards Canon of Windsor. 5 Mother of Mrs. Marcus Hare. 6 William Henry Milligan, afterwards of the Ecclesiastical Commission Office. 7 Minor Canon of Westminster (1894). 8 Eldest son of Sir J. Barrow. 9 Fourth son of Sir Robert Sheffield of Normanby in Lincolnshire. 10 Kingsley's "Saint's Tragedy," which Uncle Julius had read aloud to us, and afterwards Montalembert's Life, had made me very familiar with her story. 11 An old monastic farm on the Levels, between Halisham and Entbourne. The internal interest of the Wartburg has long since been "restored" away, and its rooms blaze with gilding and colour. 13 was altogether a disappointment to Professor Jowett. I did not get on in the line in which he wished me to get on, and in what I was able to do in after life he had no interest whatever. He dropped me after I left Oxford. I seldom saw him again, and he never knew, perhaps, how grateful I felt for his long-ago kindness, Professor Benjamin Jowett died at Headley Hall, in Hampshire, October 1, 1893. 14 Of Eccles Greig, near Forfar. 15 It would be impossible to discover a more perfect old "gentleman" than Dr. Plumptre, though he was often laughed at. When he was inquiring into any fault, he would begin with, "Now pray take care what you say, because whatever you say I shall believe." He had an old-fashioned veneration for rank, and let Lord Egmont off lectures two days in the week that he might hunt  "it was so suitable." 18 Walter Berkeley, 4th son of the 1st viscount Portman. 19 This was so at that time: now it would be thought nothing of. 20 Wife of John Henry Parker, the publisher, a peculiar but excellent person. 21 The portrait of Mrs. Hare Naylor by Flaxman, now at Holmhurst. 22 Afterwards Mr. Owen Grant. 24 The high church author, son of my father's first cousin, Charles Shipley. 25 I have always thought that Sir John Paul must have been rather mad. After be had done his best to ruin all his family, and had totally ruined hundreds of other people, he said very complacently, "This is the Lord's doing, and it is marvellous in our eyes." 26 My mother in her youth had often visited the ladies at Plas Newydd - Lady Eleanor Butler (ob. 1829, �t. 90) and Miss Sarah Ponsonby (ob. 1831, �t. 76). They always wore men's hats and waistcoats, short petticoats and thick boots. 27 William Owen Stanley, twin brother of Edward John, 2nd Lord Stanley of Alderley. 28 "Quite untrue, probably." - Note by the Dean of Llandaff, formerly head-master of Harrow, who read this in MS.
29 Hon. Carolina Courtenay Boyle.